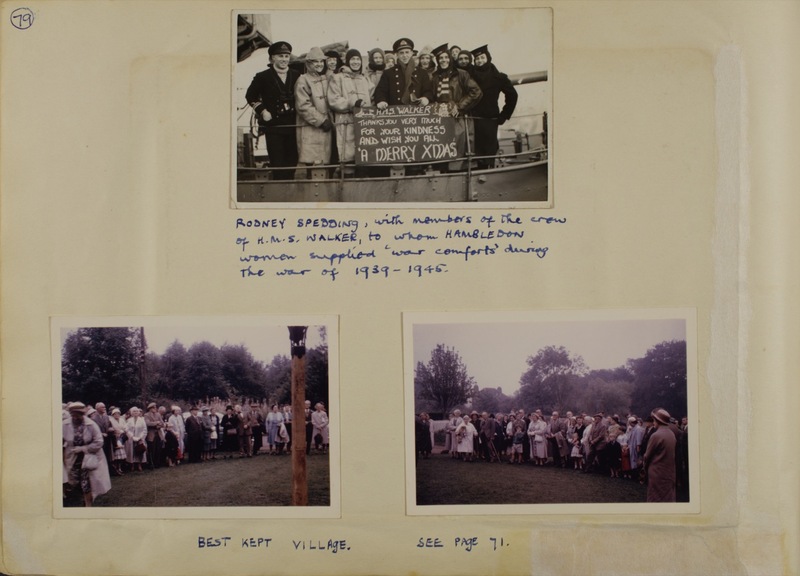 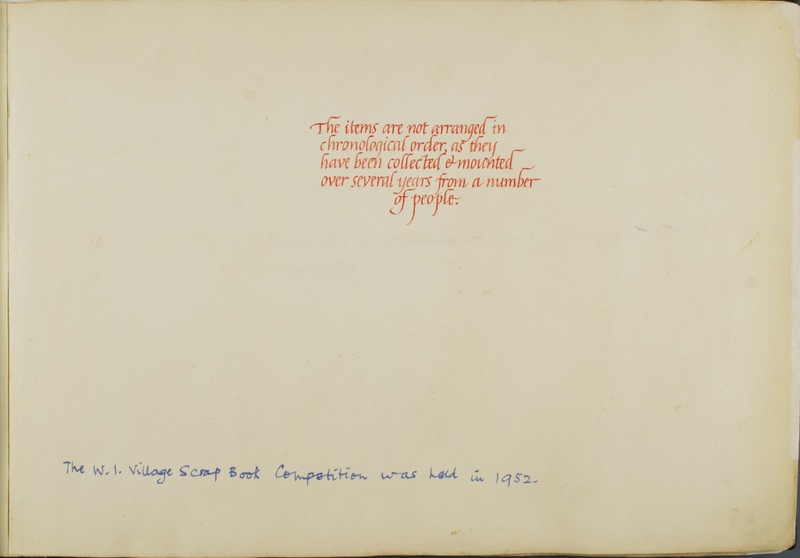 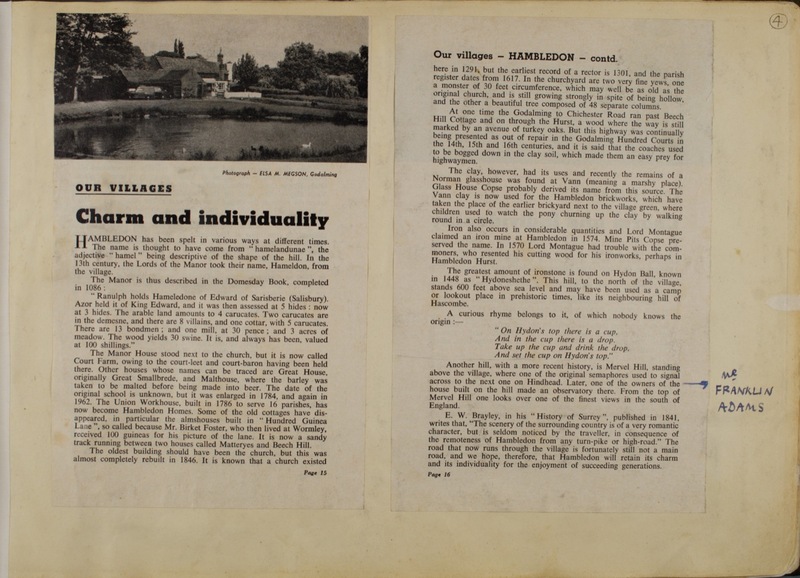 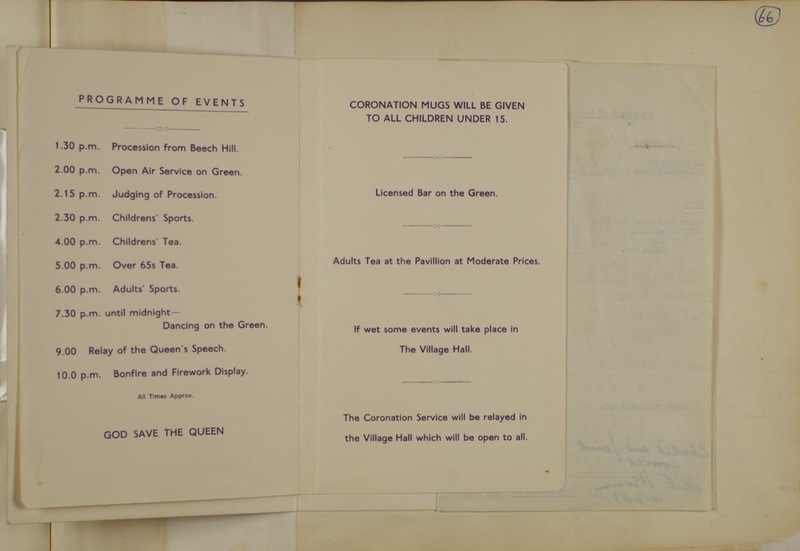 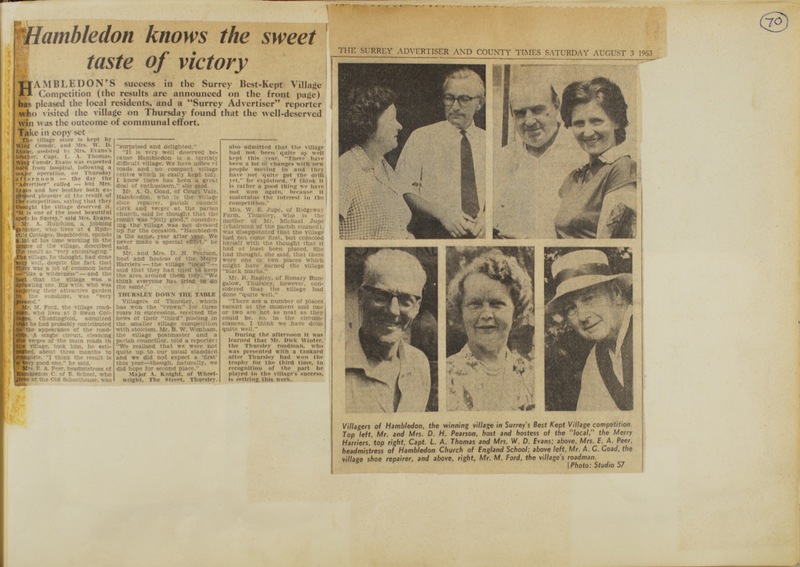 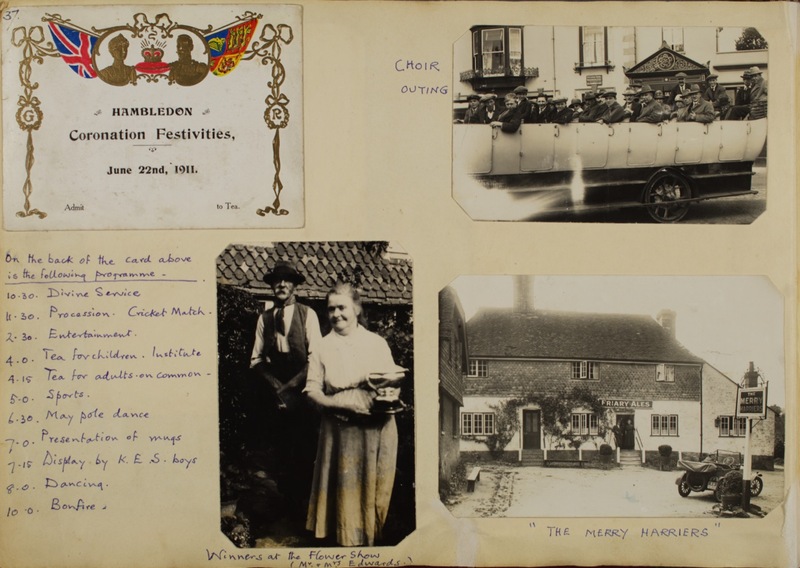 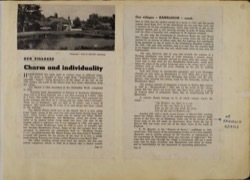 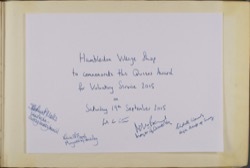 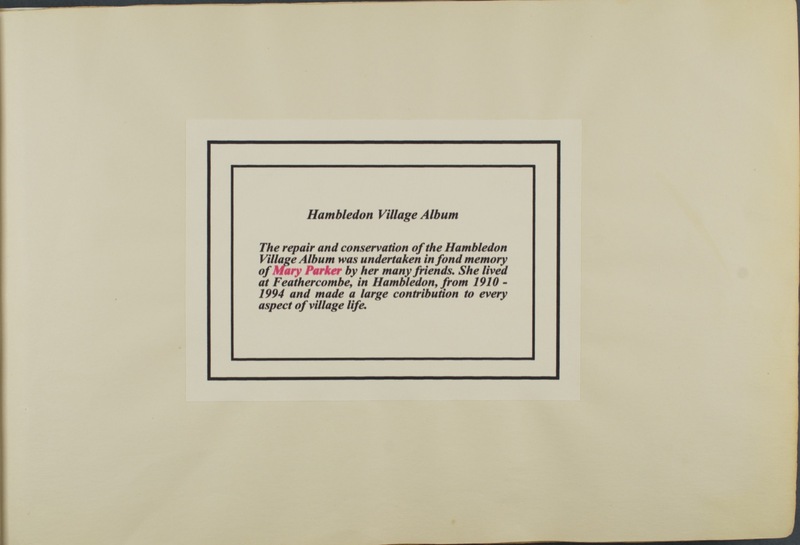 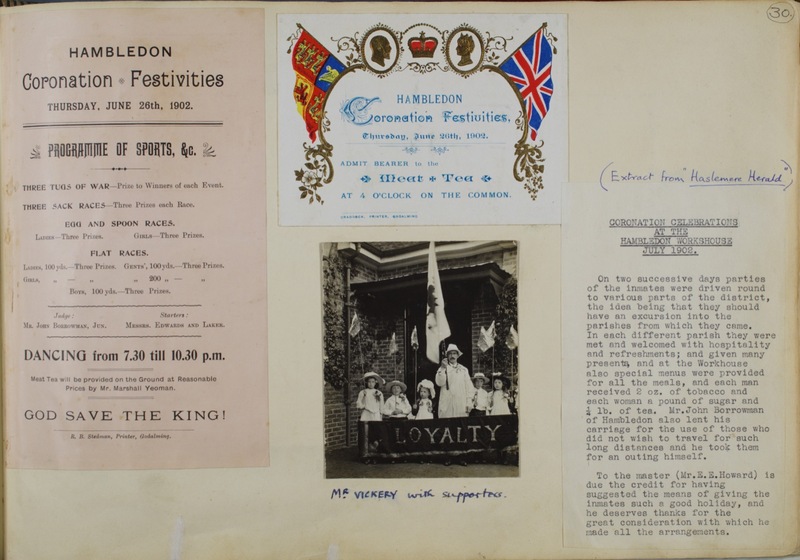 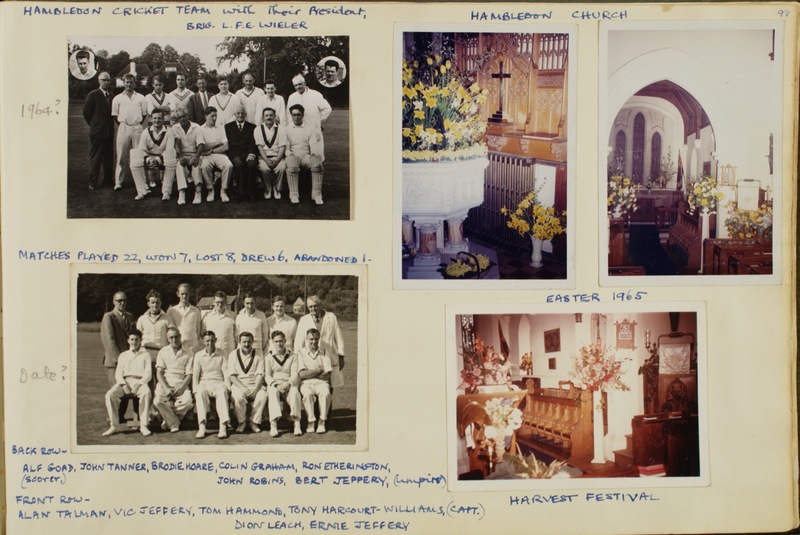 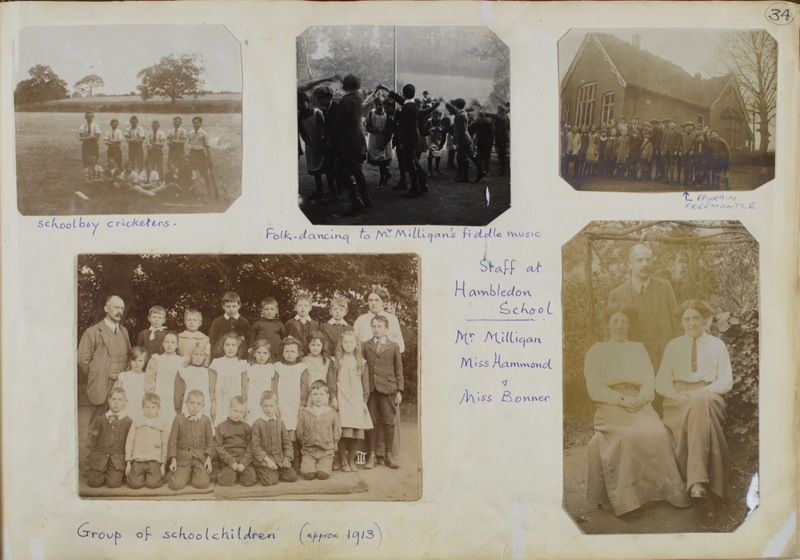 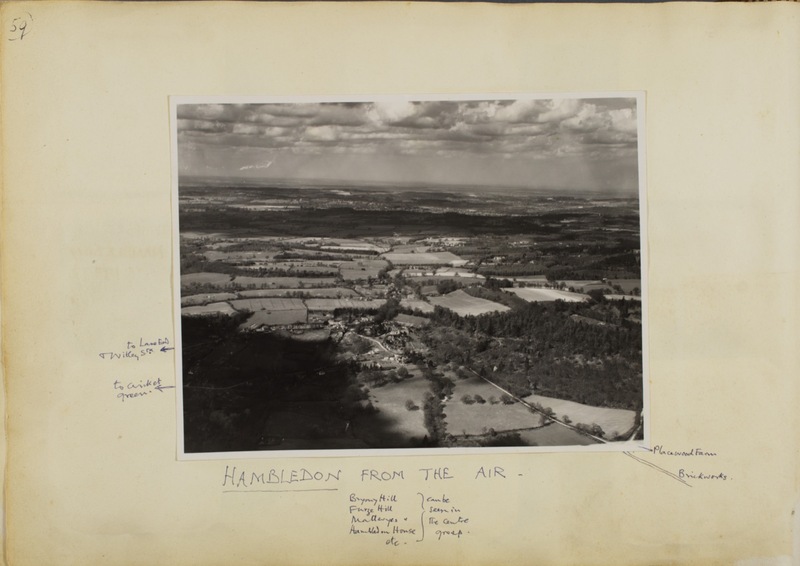 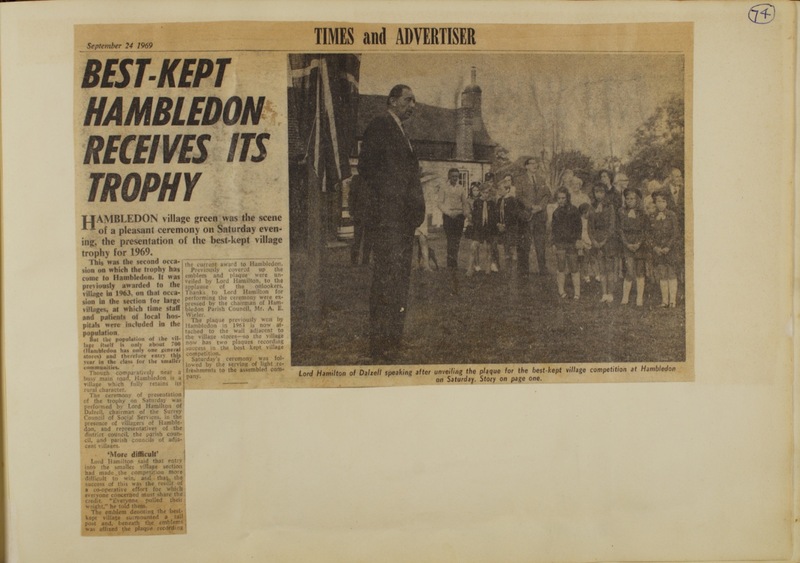 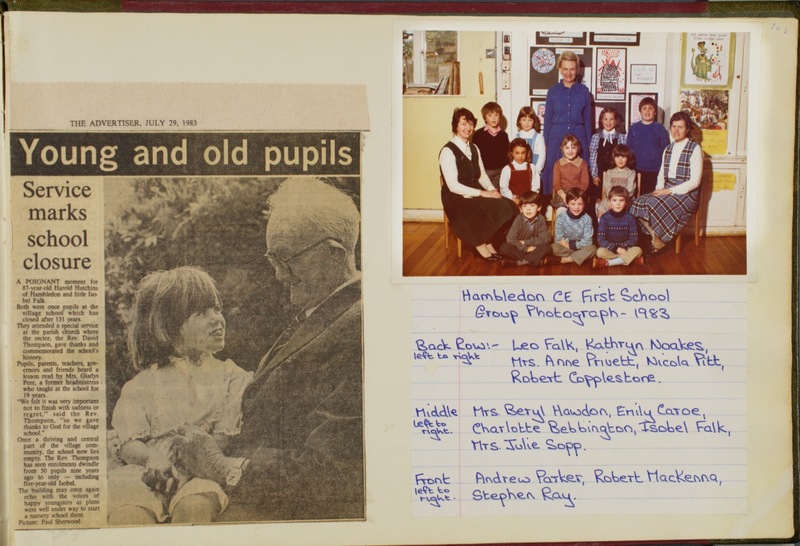 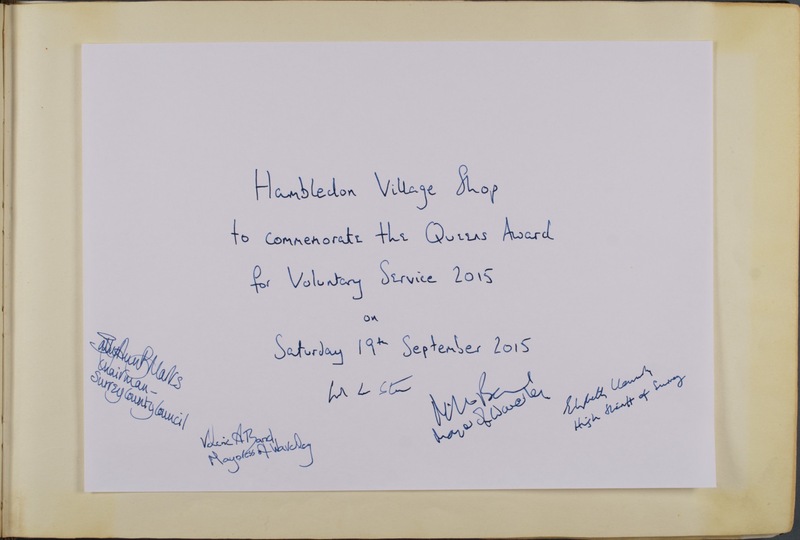 The Hambledon Village Scrapbook celebrates the life of the village and is made up of 'scraps' collected and given by Hambledon residents. 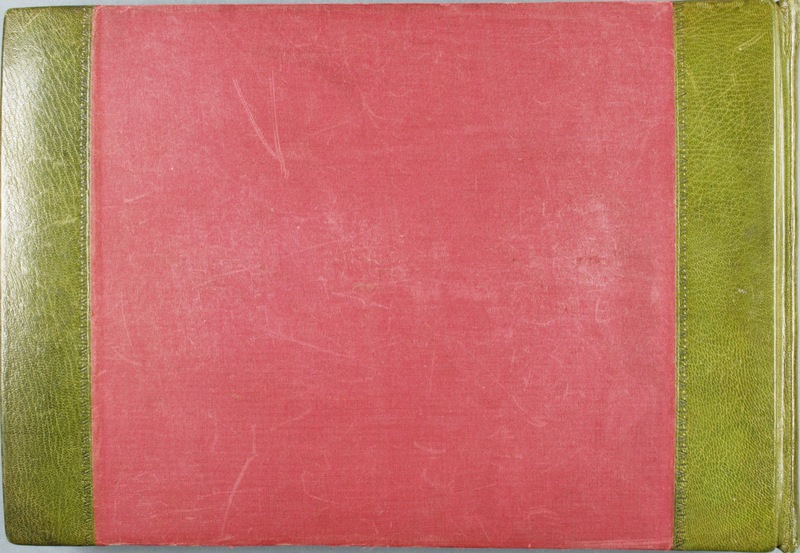 This book came about as a result of a Women's Institute Scrapbook competition in 1952. 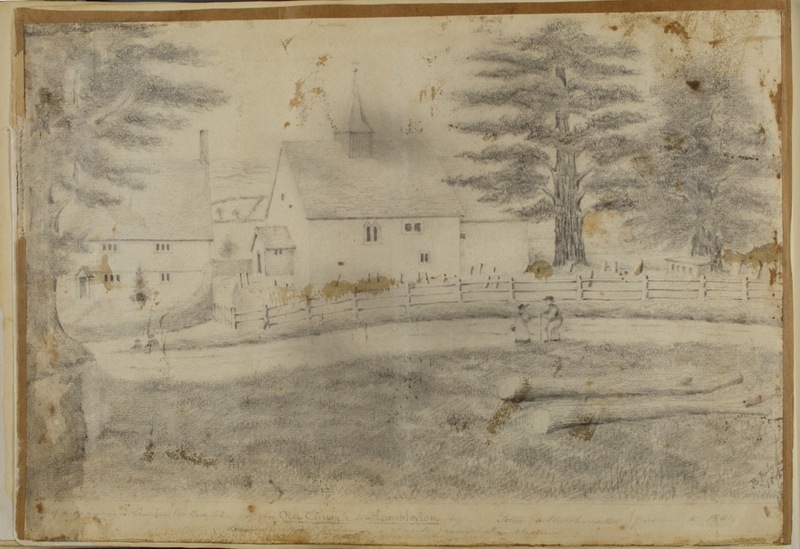 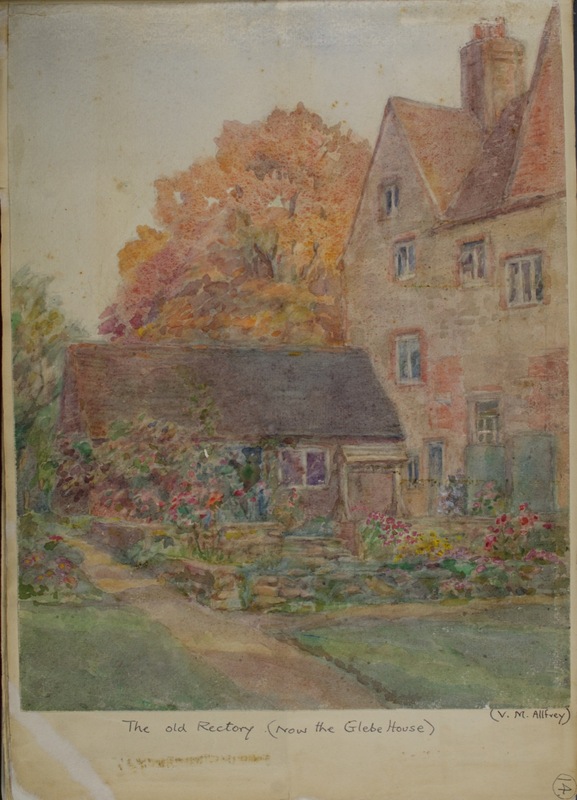 Mary Parker, who lived in the village (and remained there all her life), was chiefly responsible for keeping the book going and ensuring it was added to. 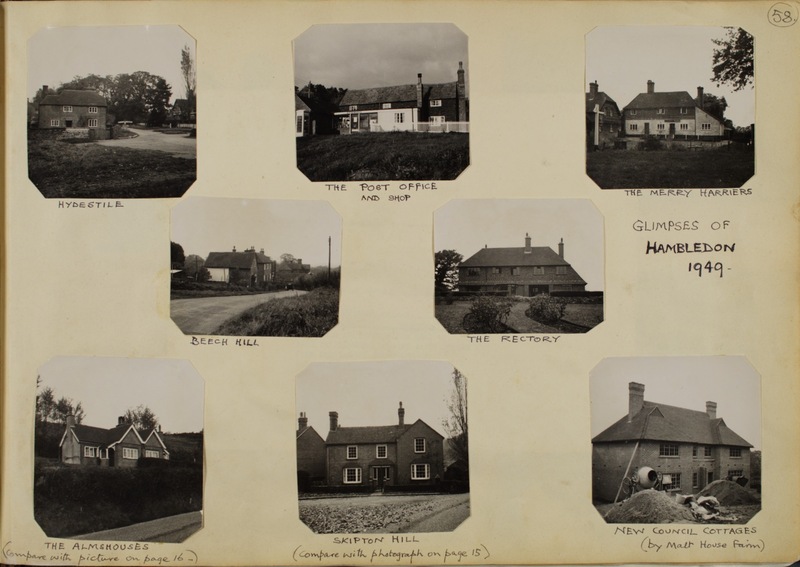 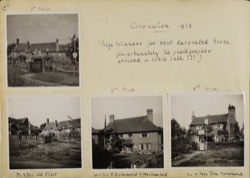 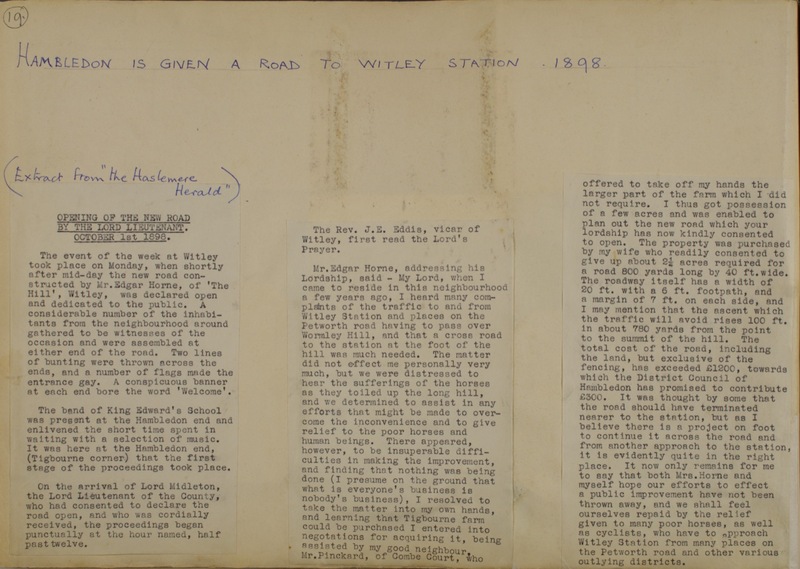 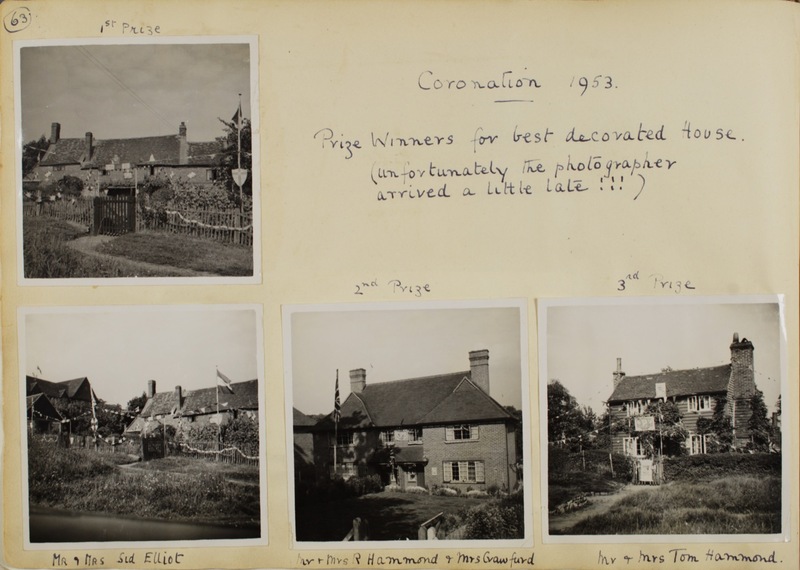 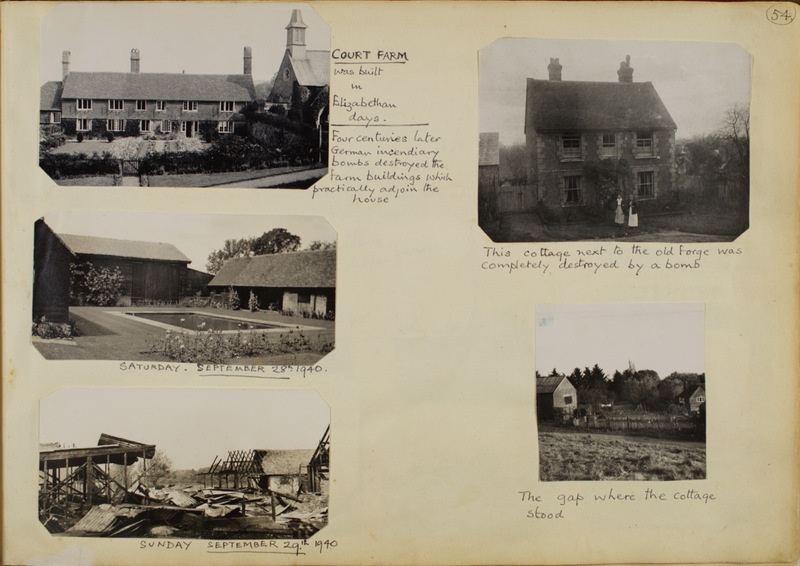 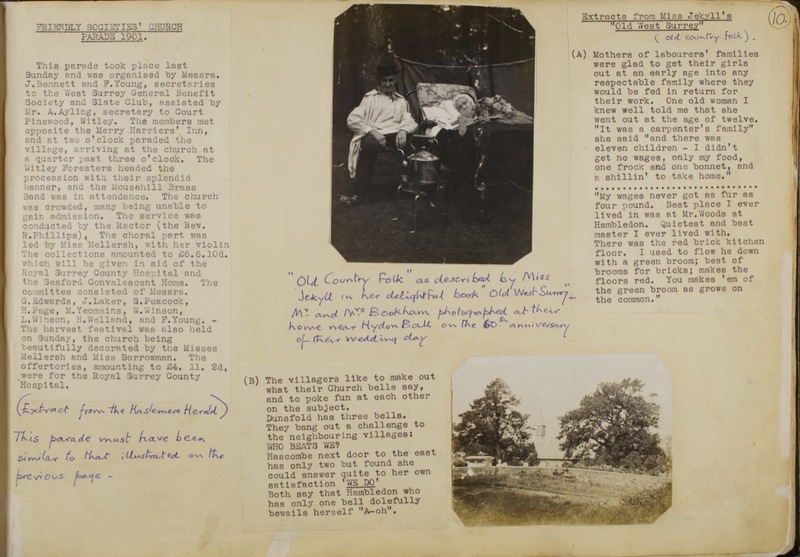 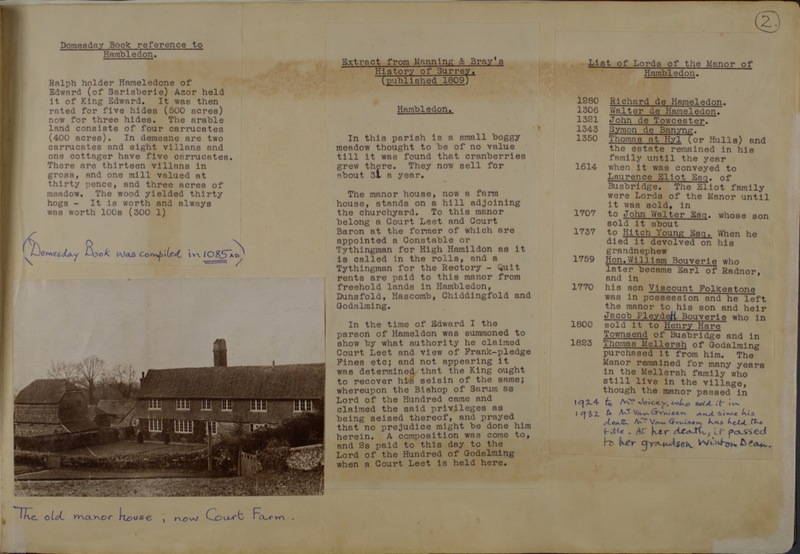 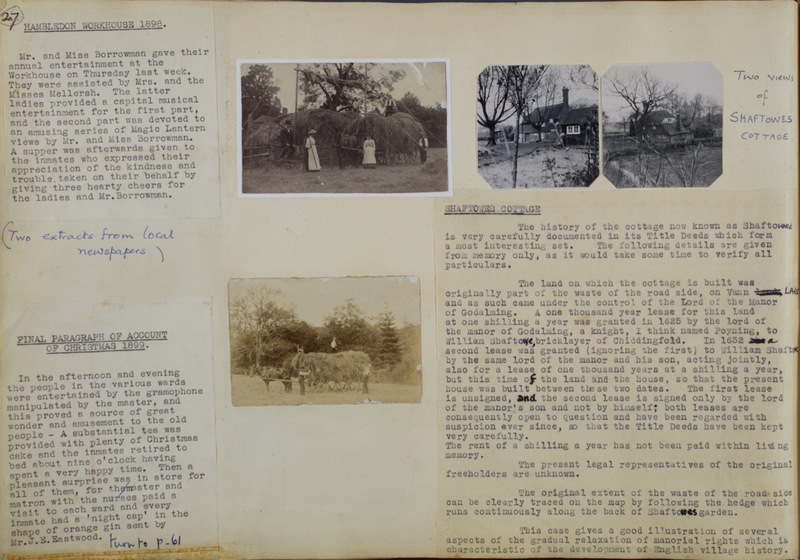 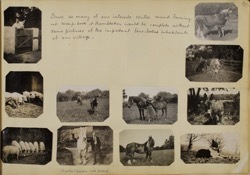 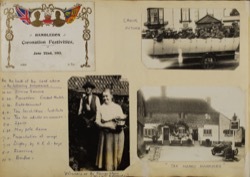 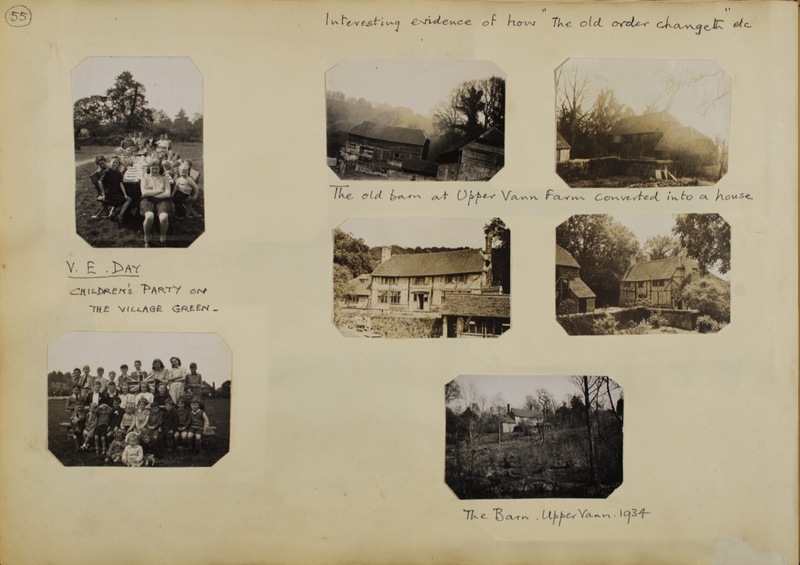 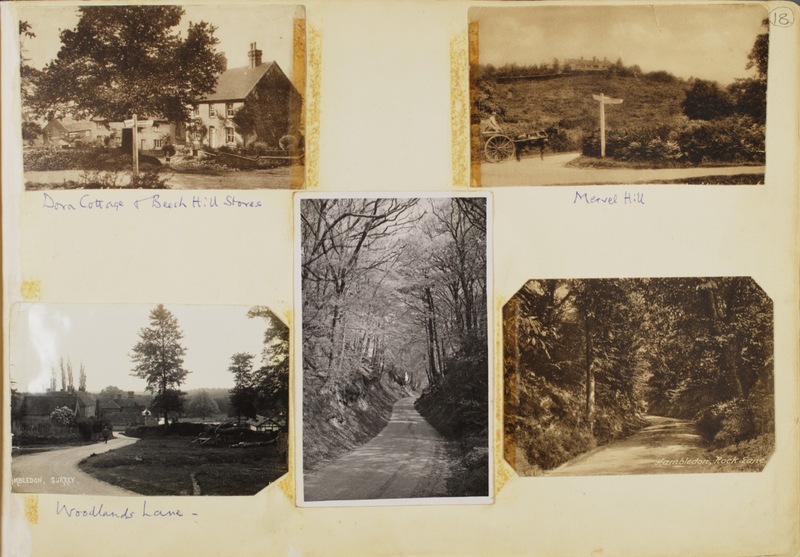 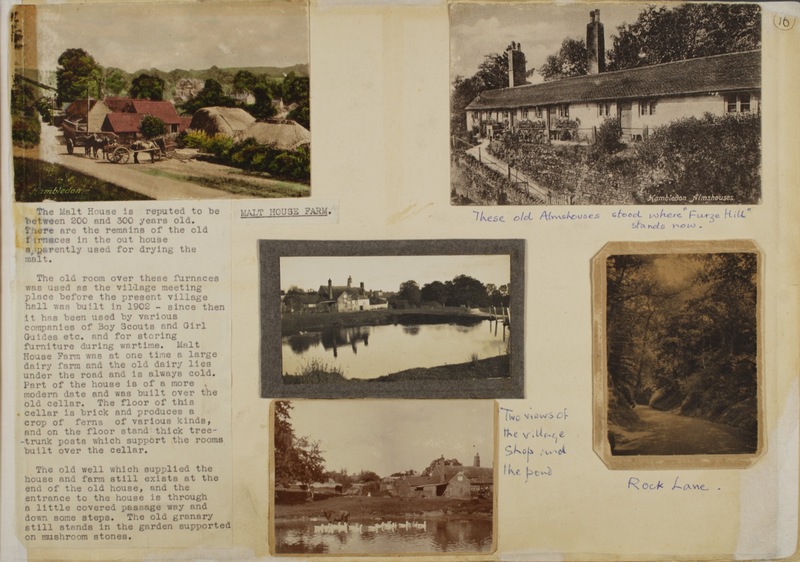 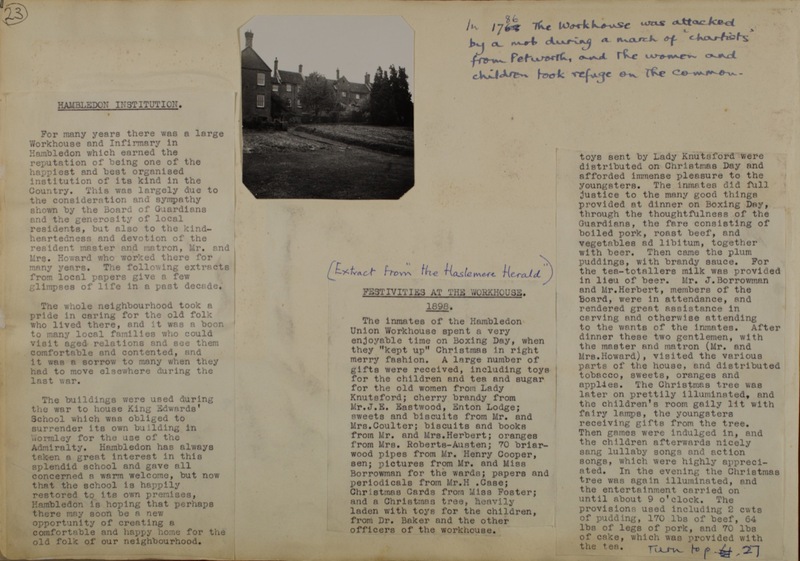 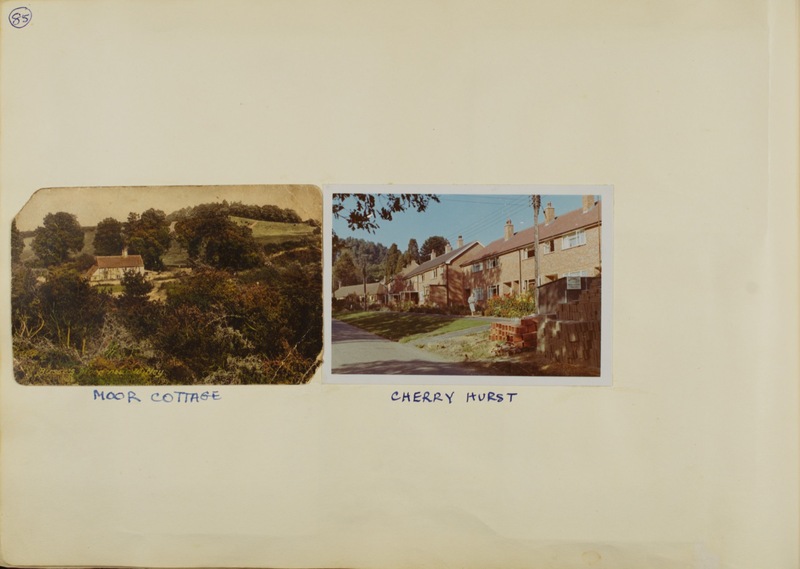 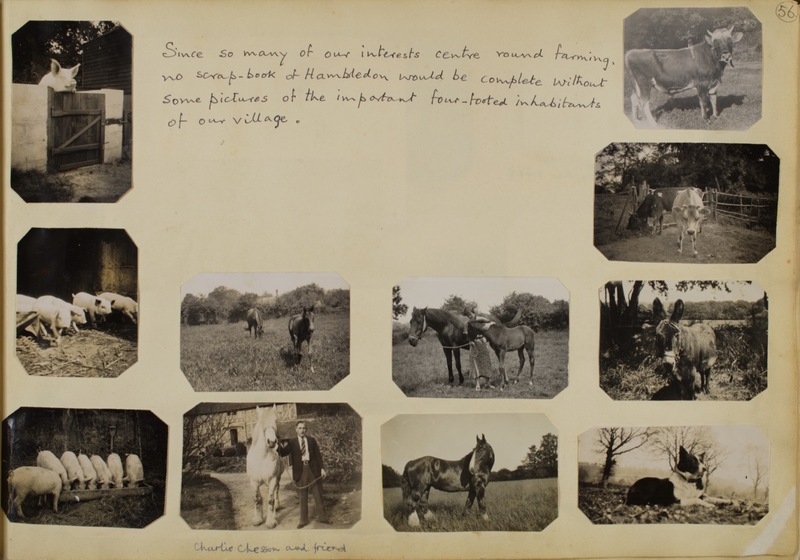 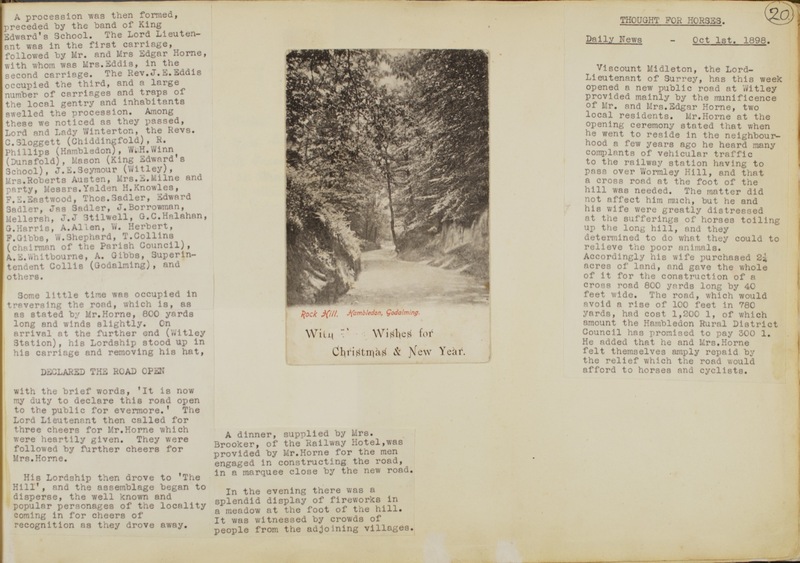 Villagers contributed old and contemporary photographs, postcards, artworks, newspaper clippings, written memories and other ephemera, so that the book became a reference for village life from Victorian times until 1997. 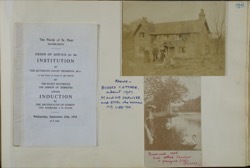 It was kept at the village Post Office and was available for loan to inhabitants. 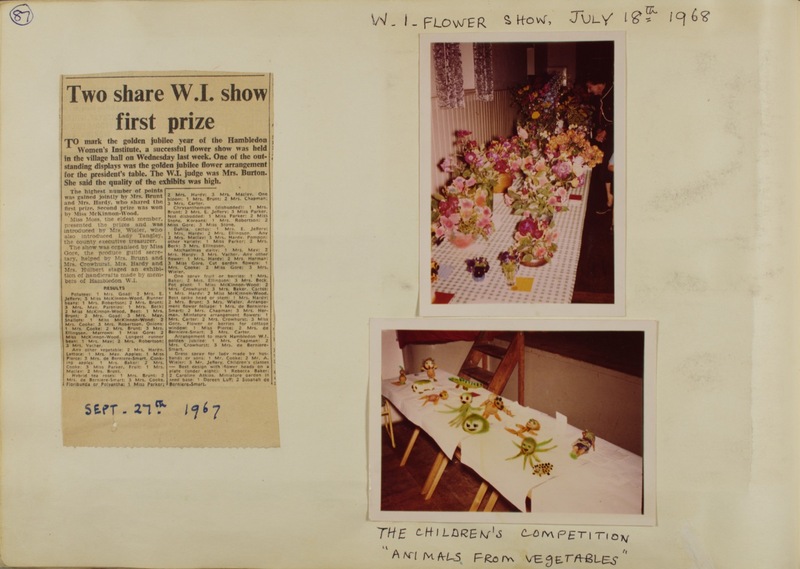 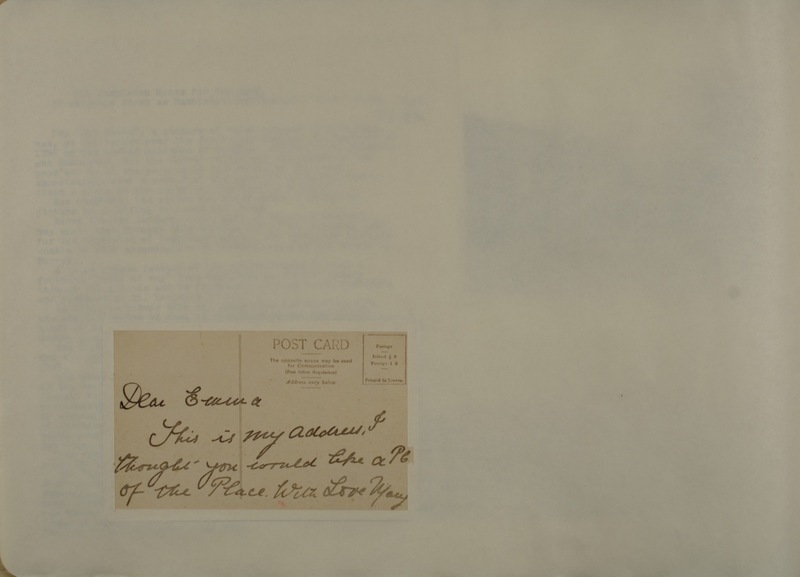 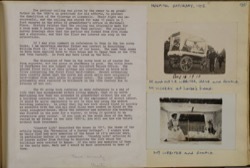 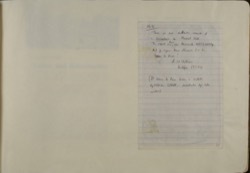 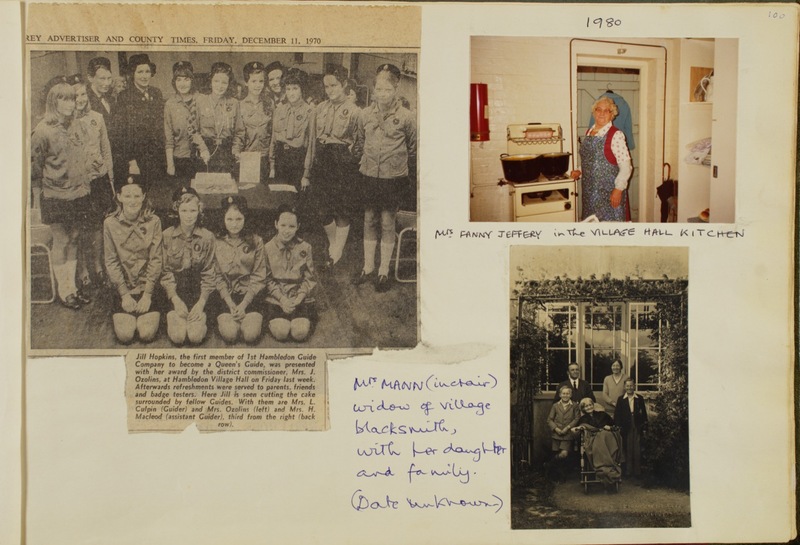 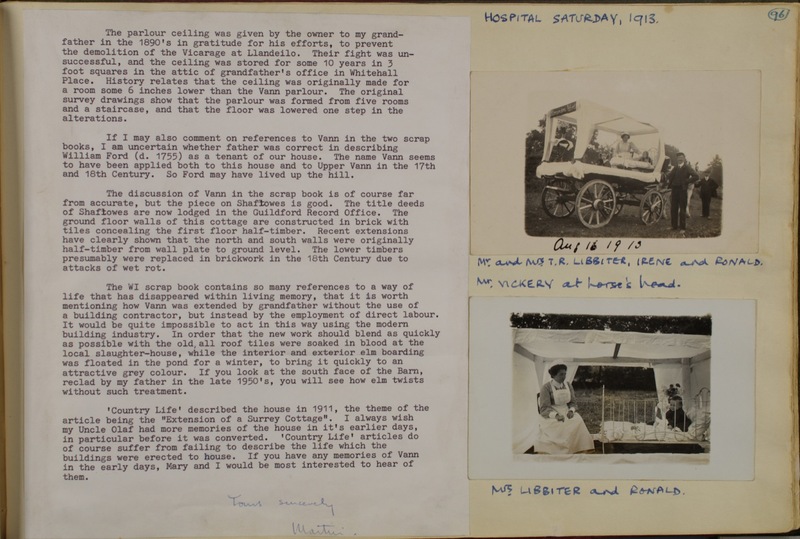 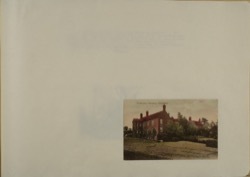 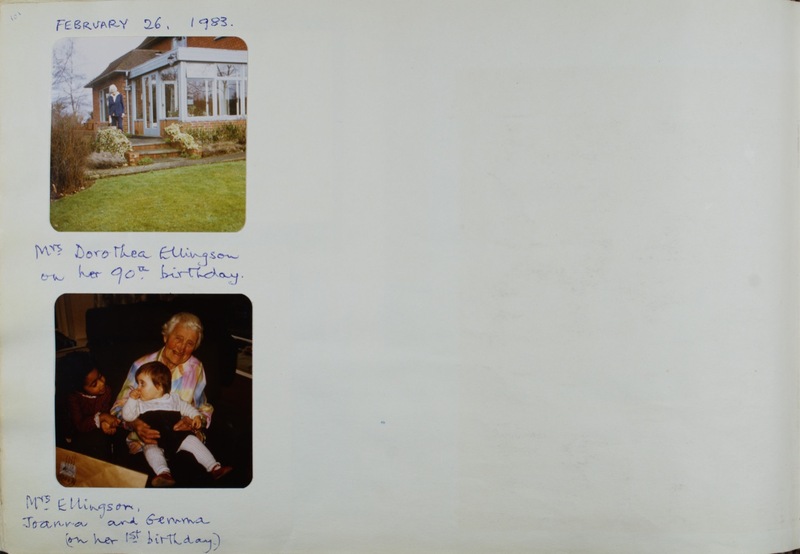 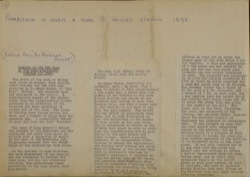 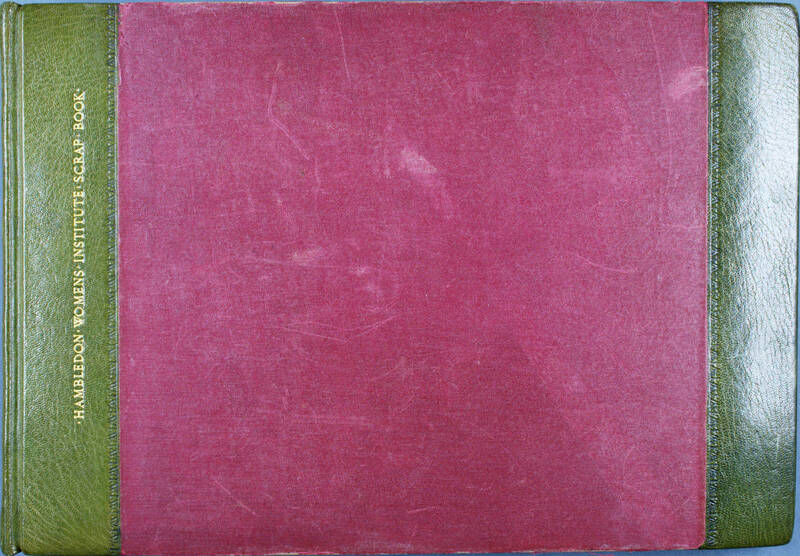 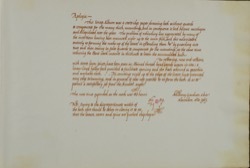 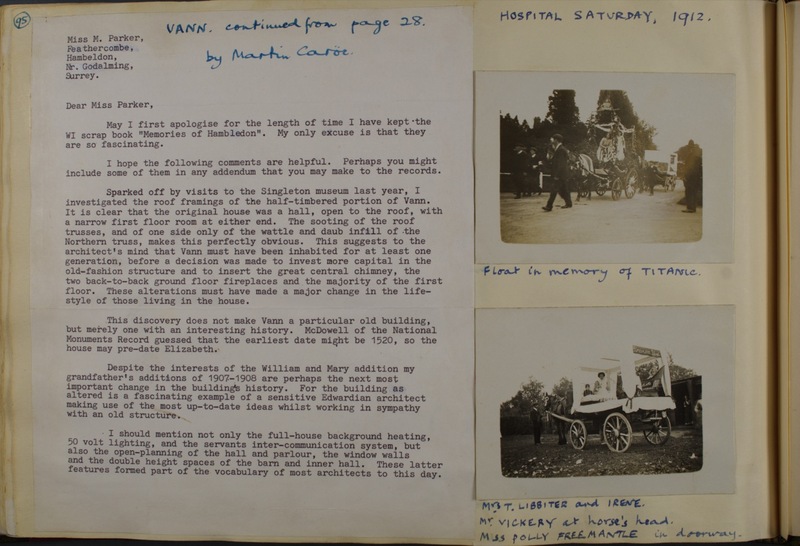 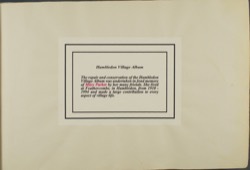 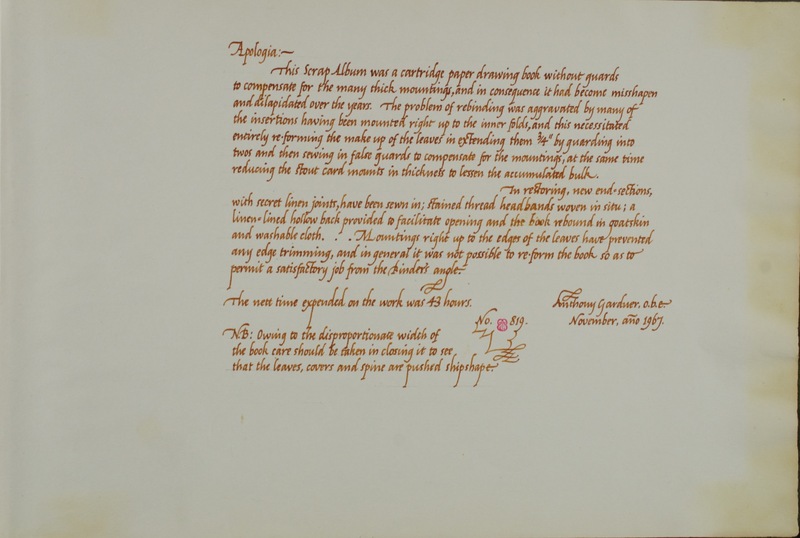 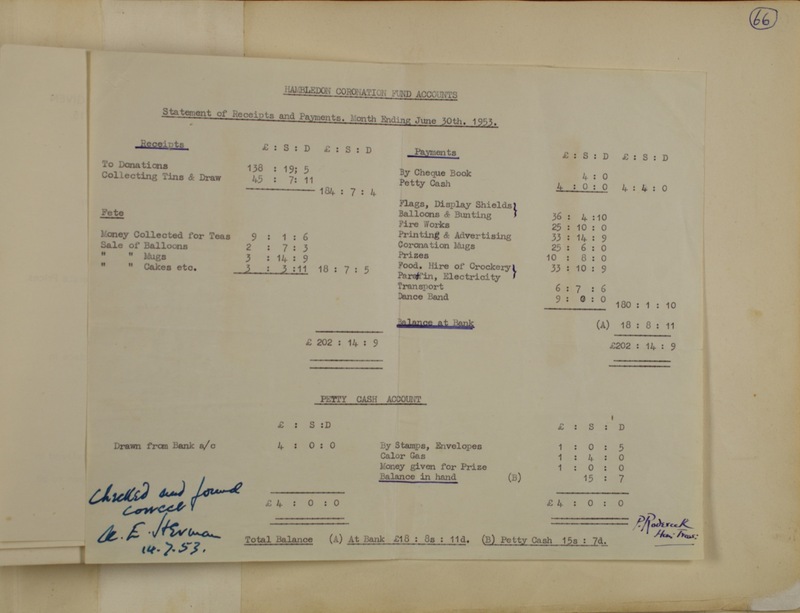 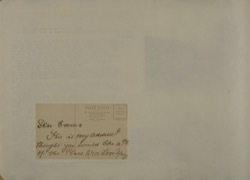 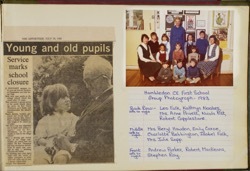 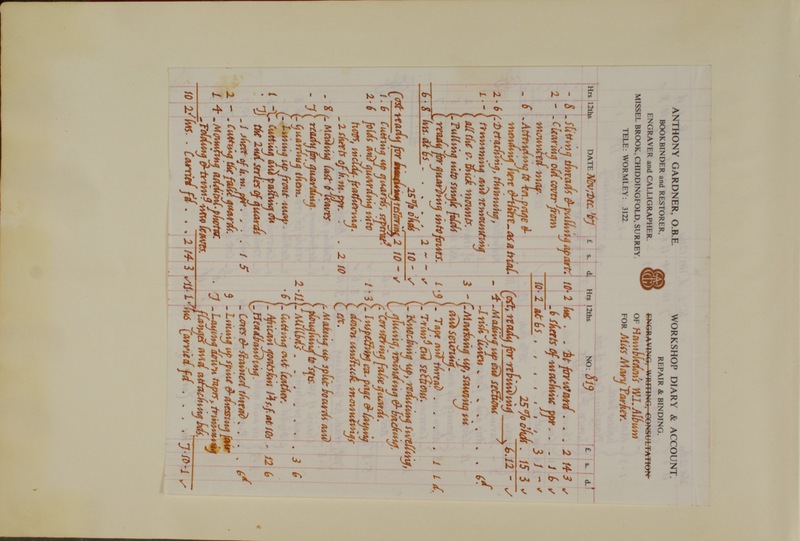 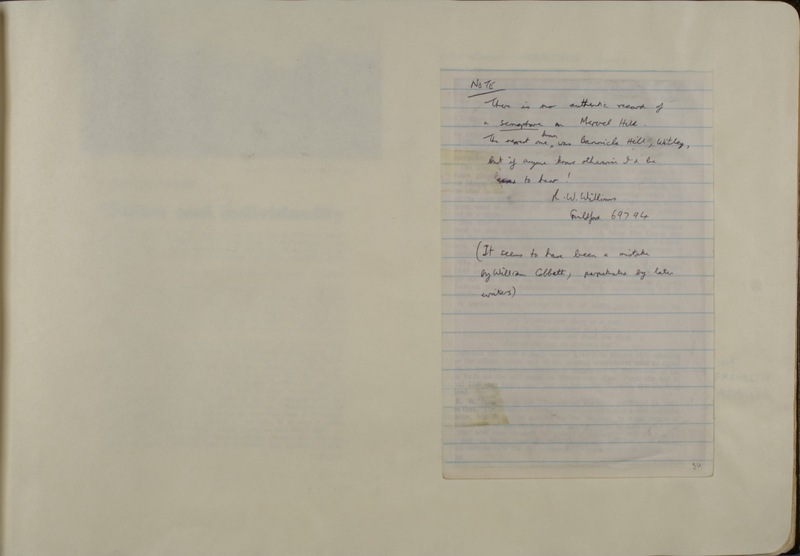 By 1997, constant handling had caused the scrapbook to become damaged and it was decided to use money from the Mary Parker Memorial Fund to have it conserved and re-bound and to produce a copy, which could be kept at the Post Office. 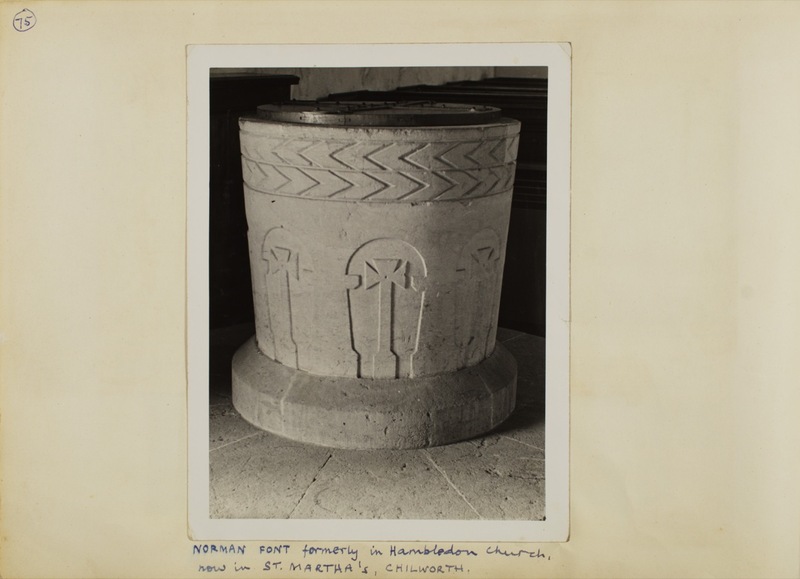 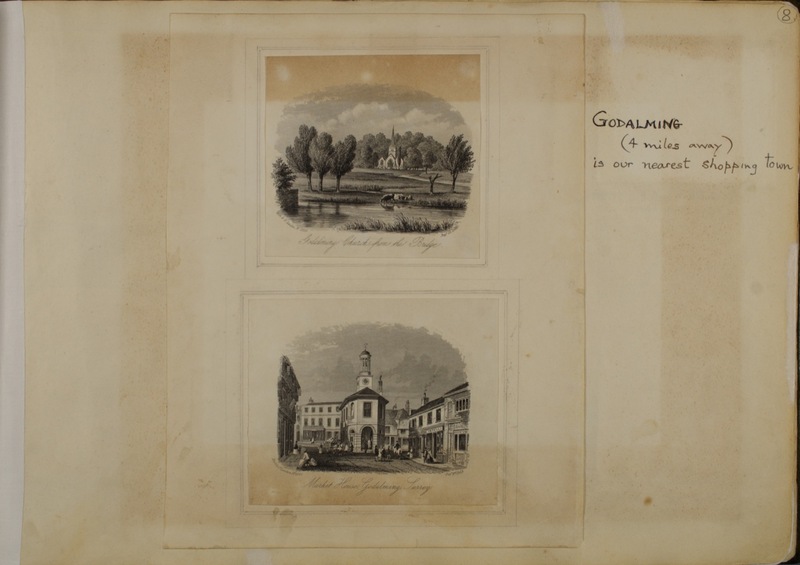 The original was deposited for safe-keeping at Godalming Museum. 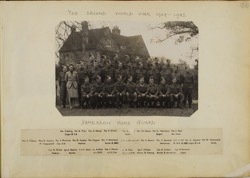 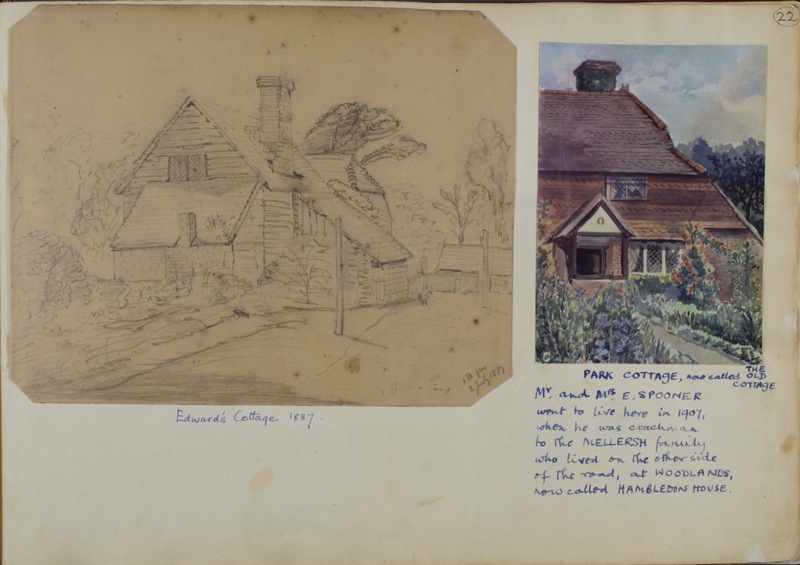 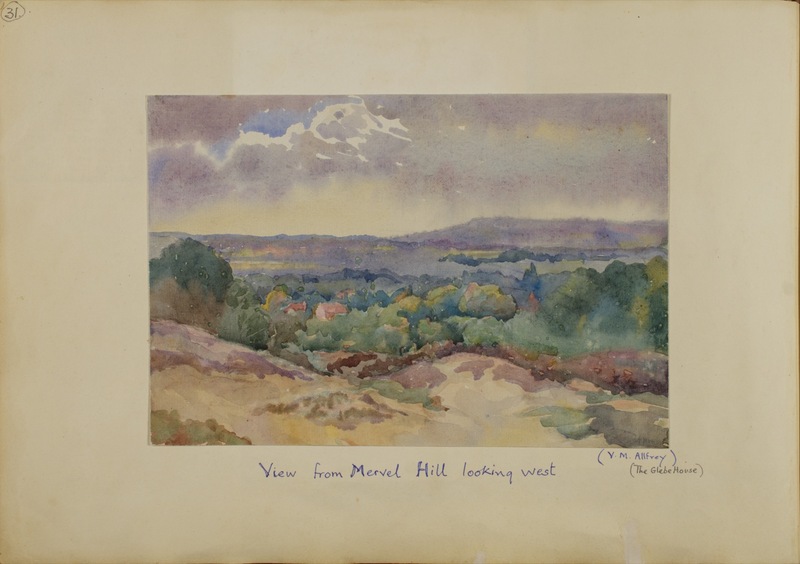 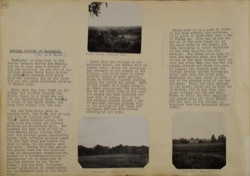 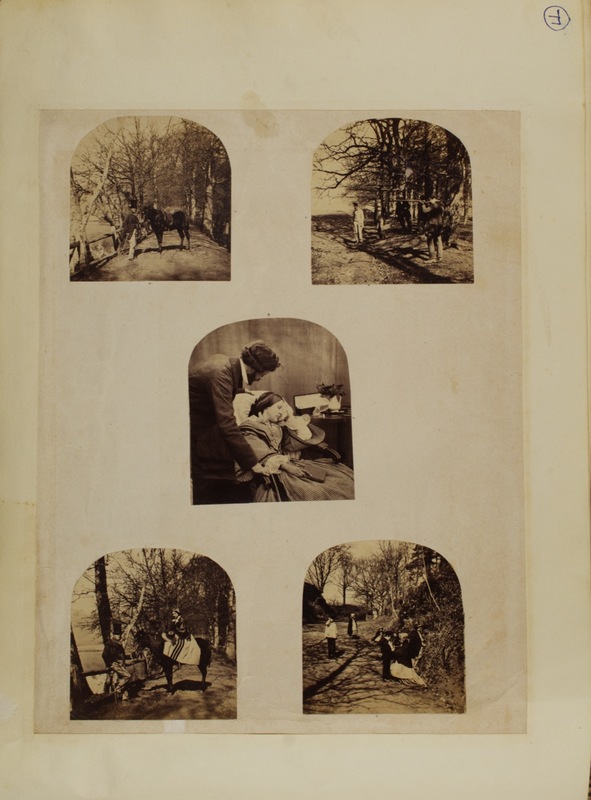 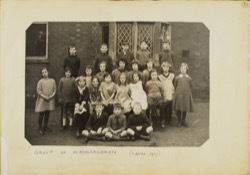 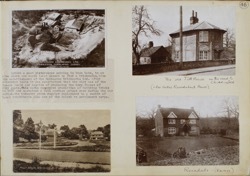 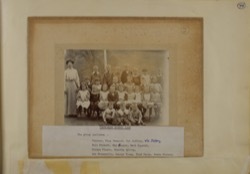 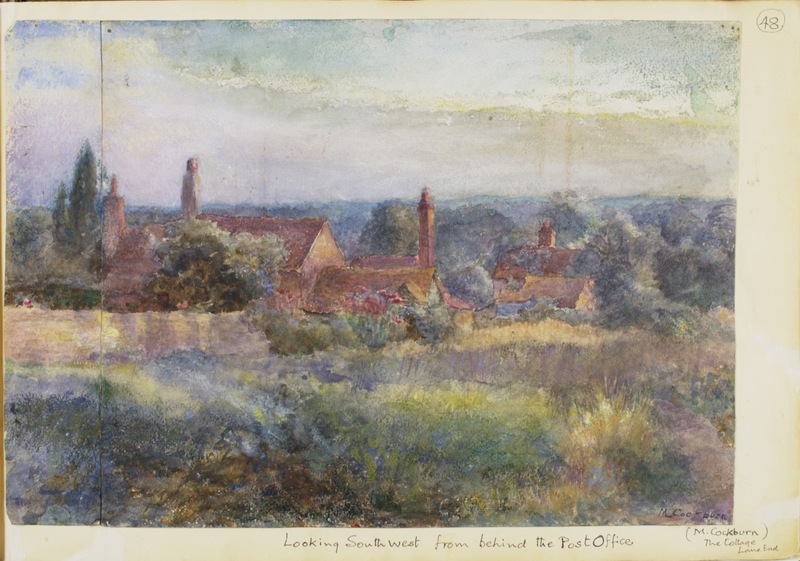 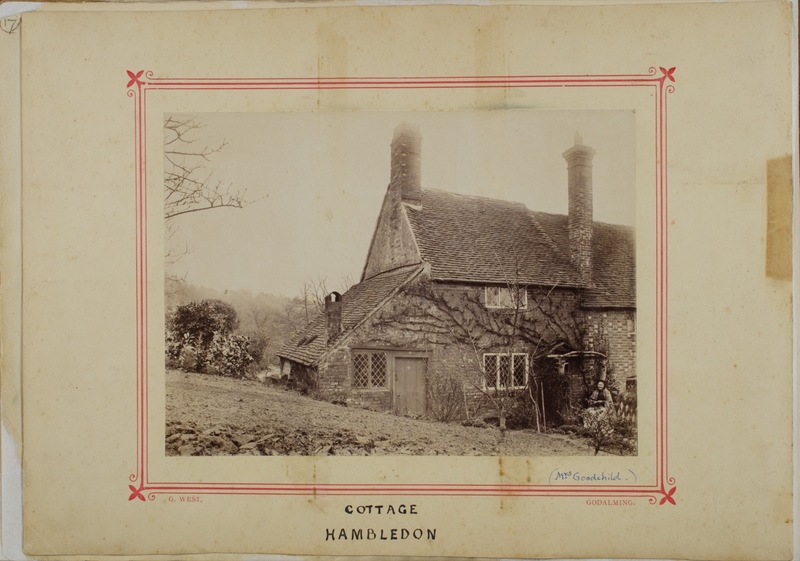 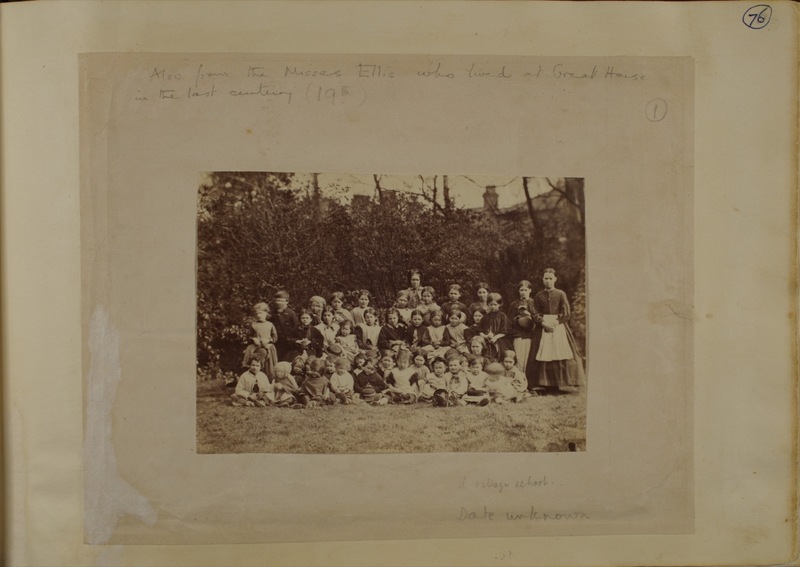 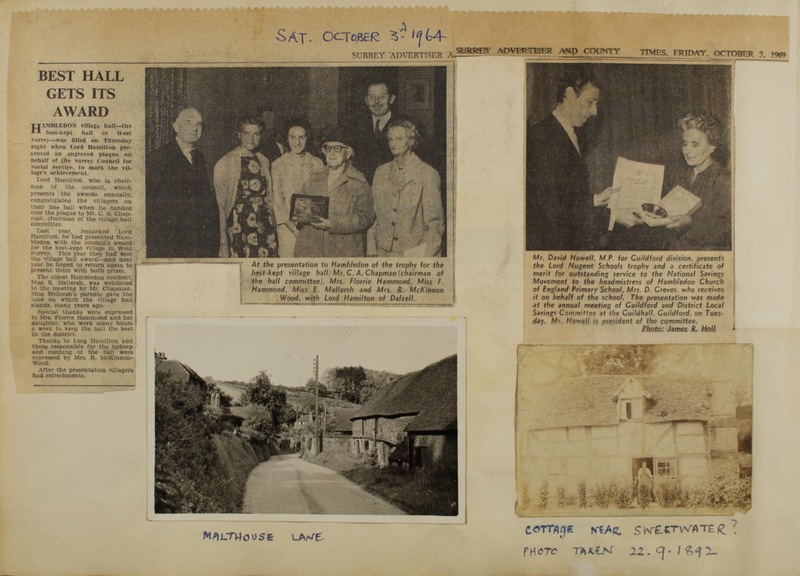 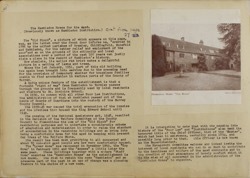 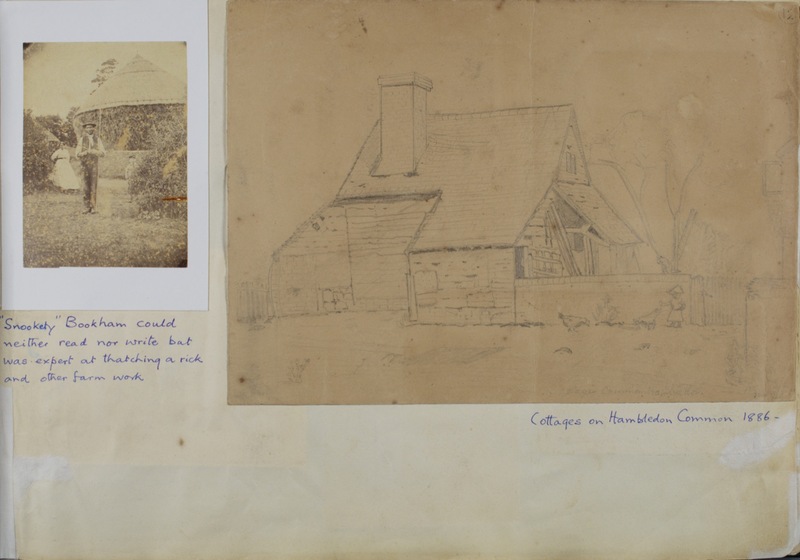 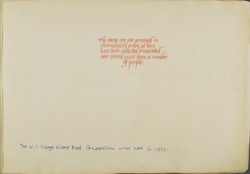 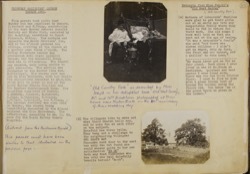 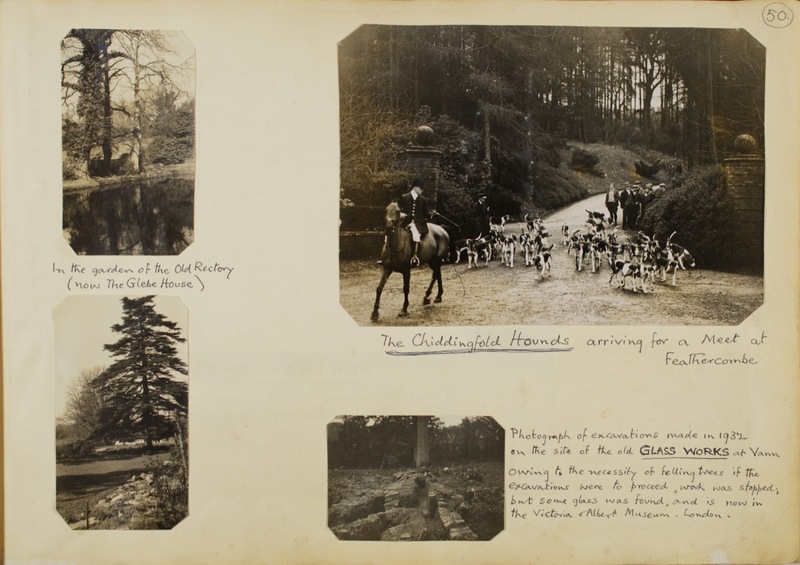 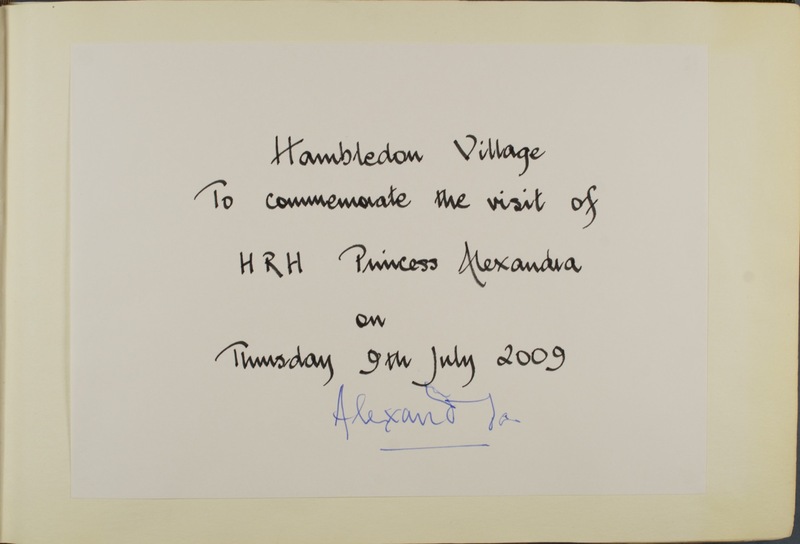 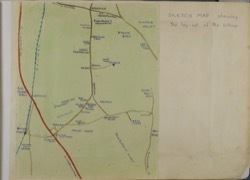 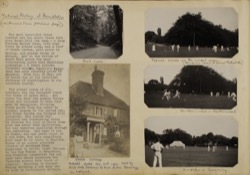 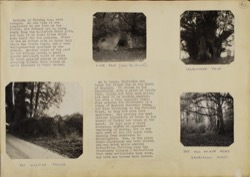 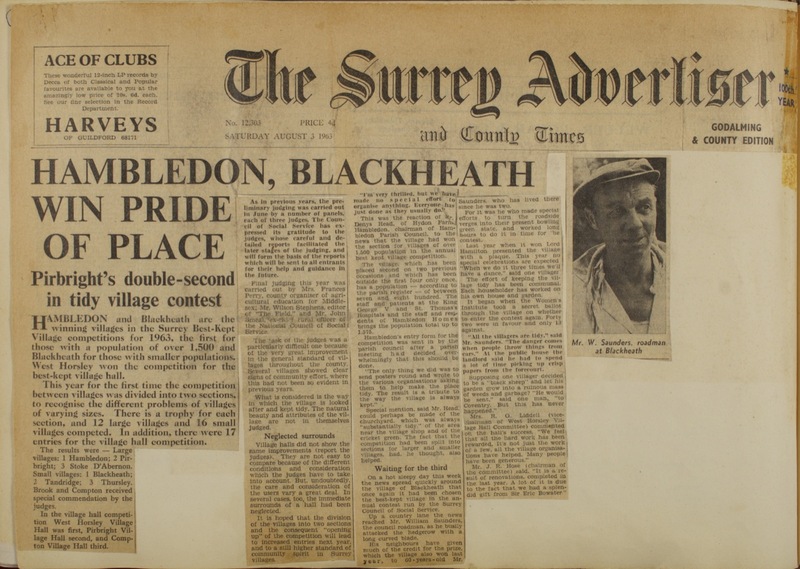 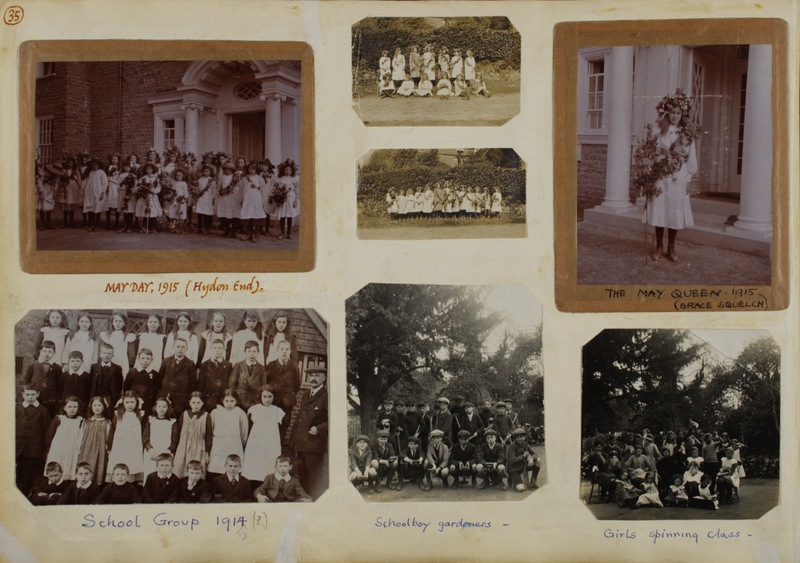 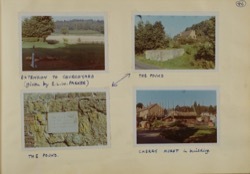 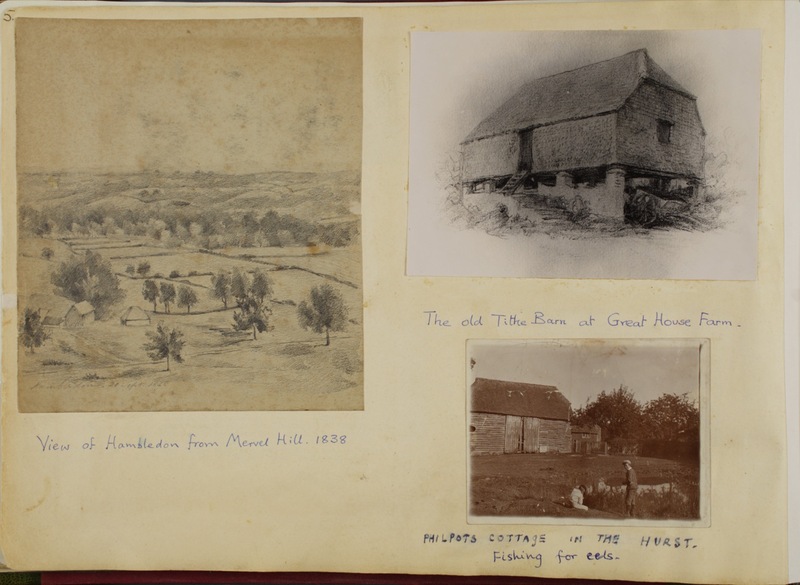 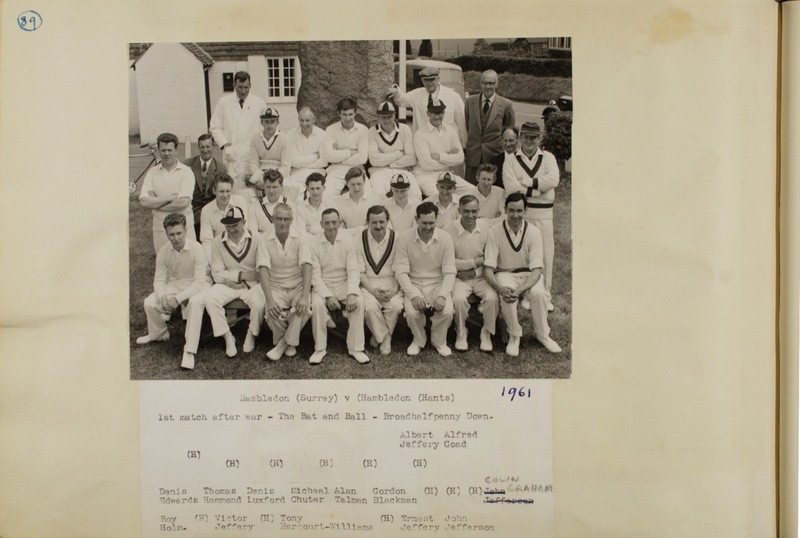 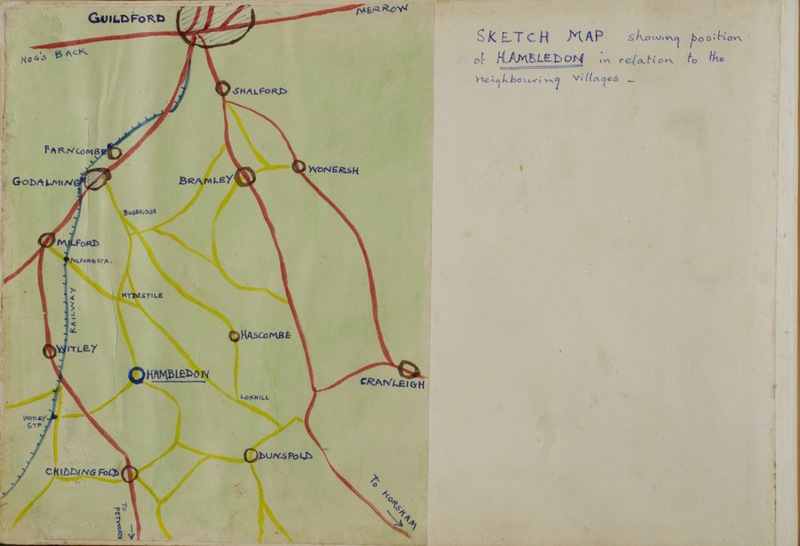 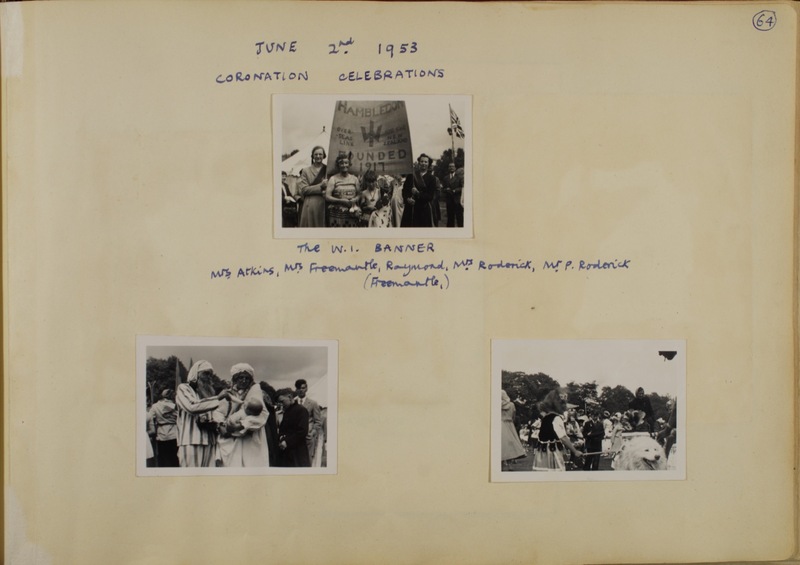 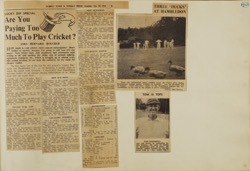 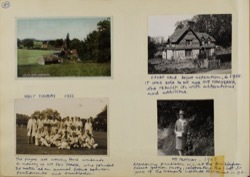 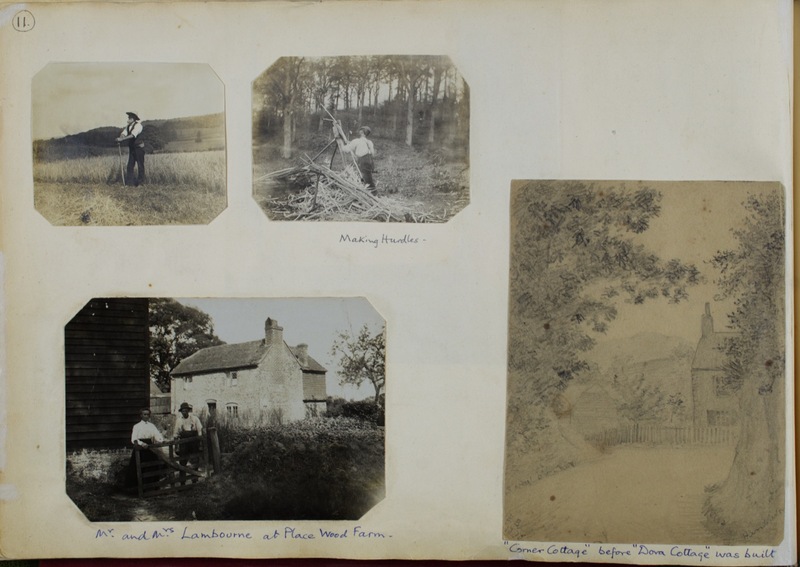 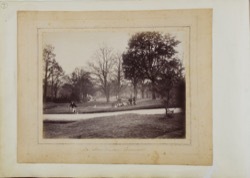 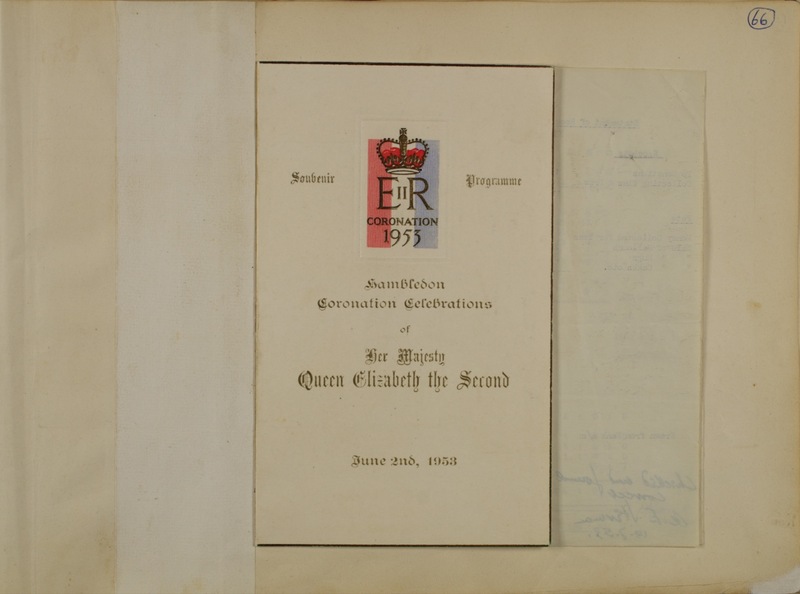 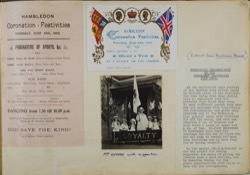 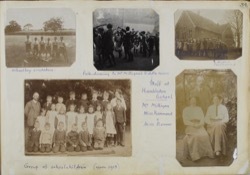 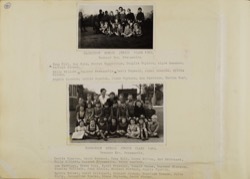 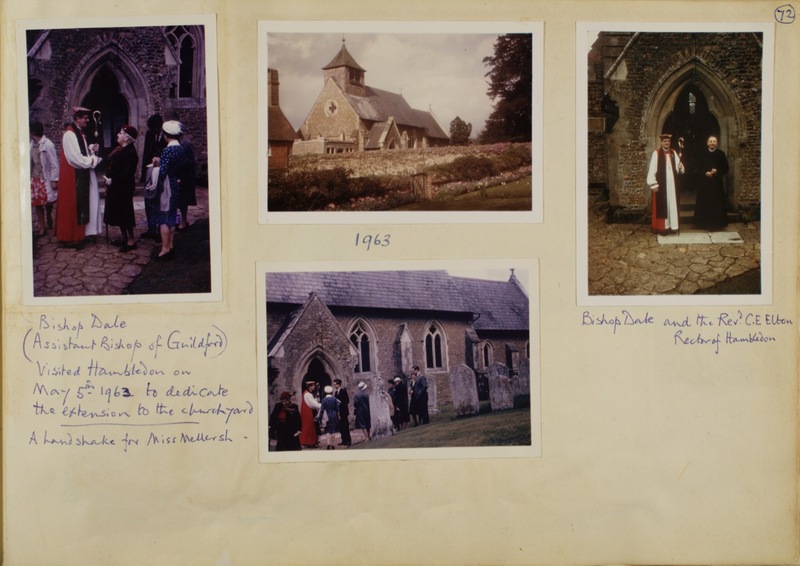 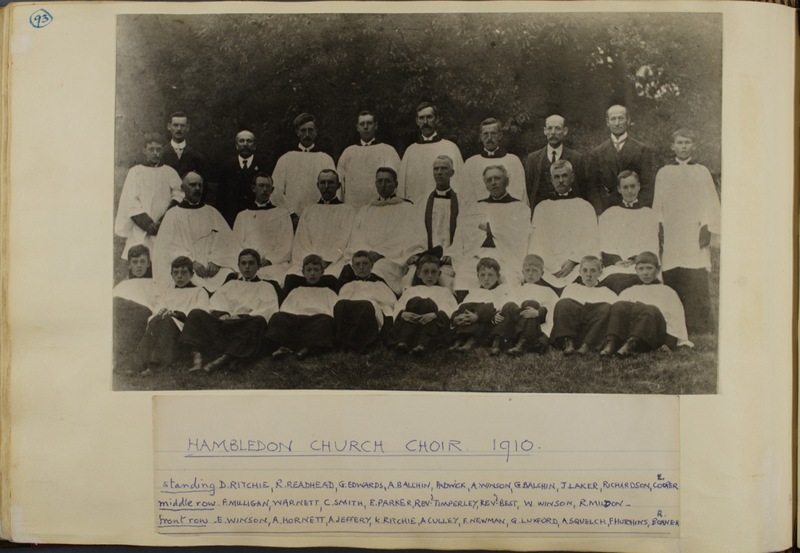 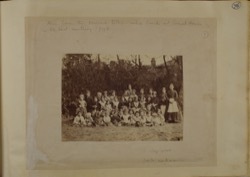 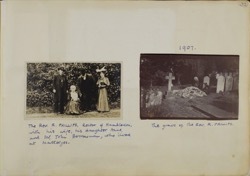 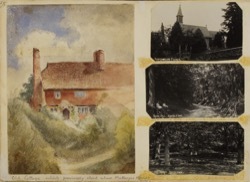 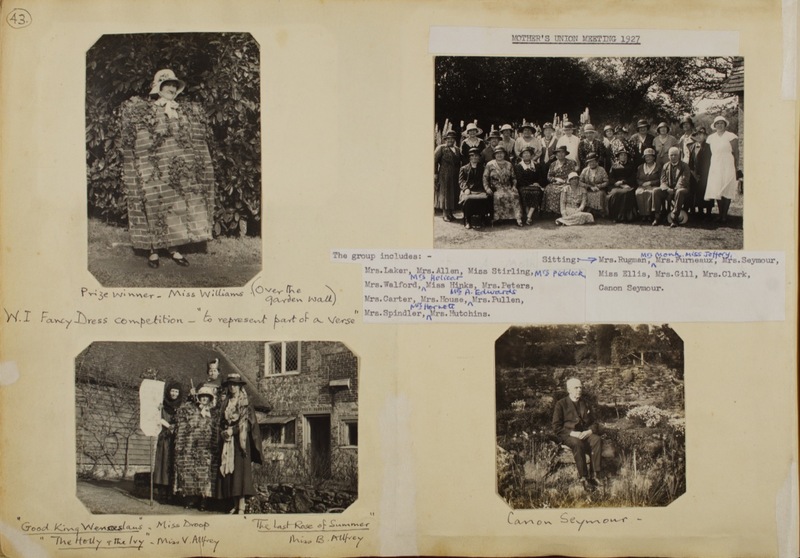 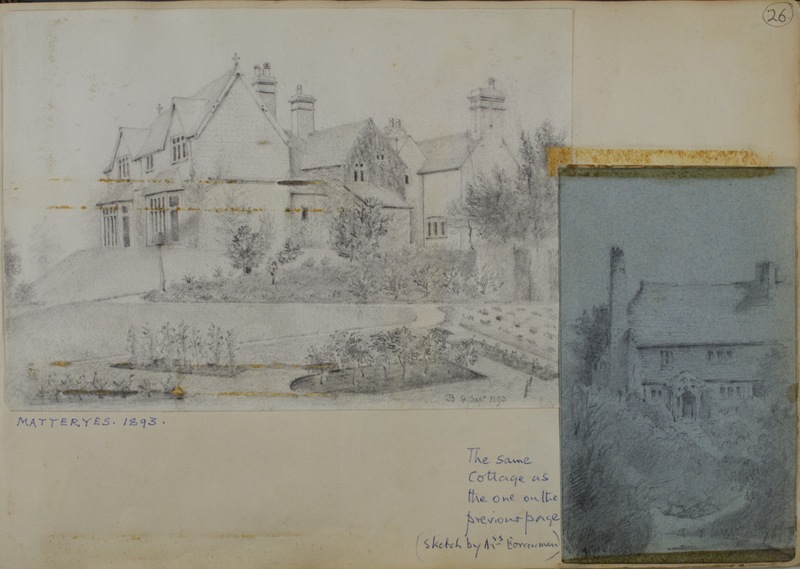 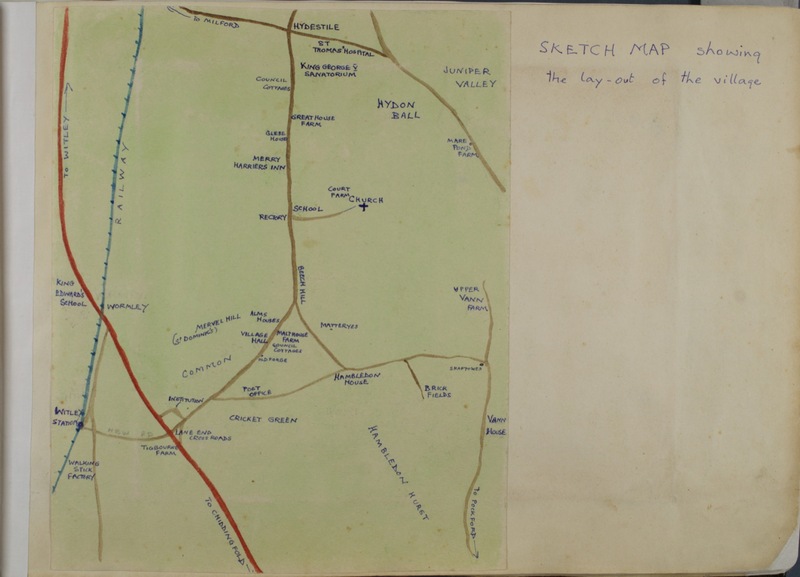 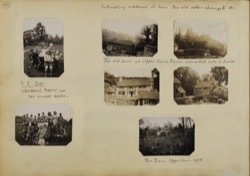 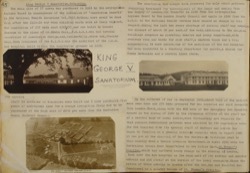 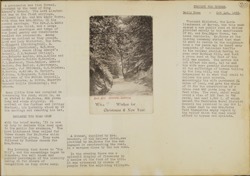 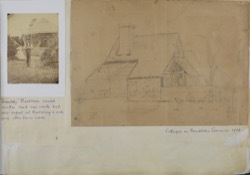 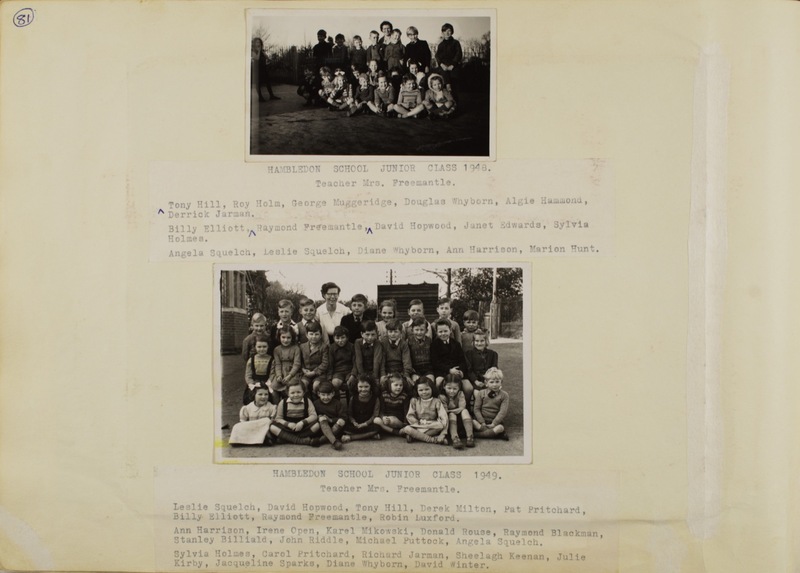 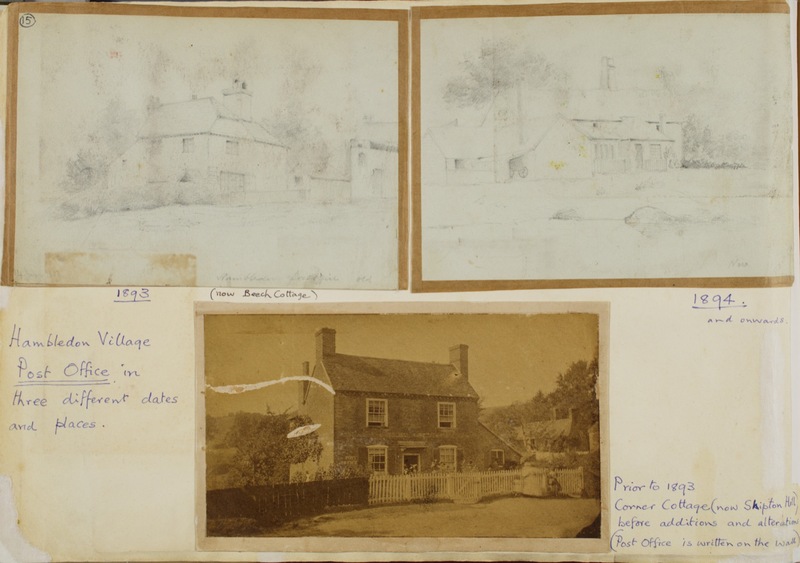 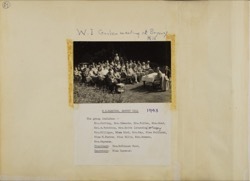 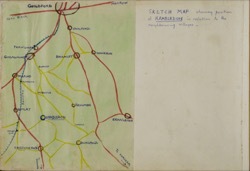 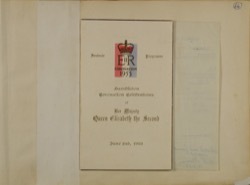 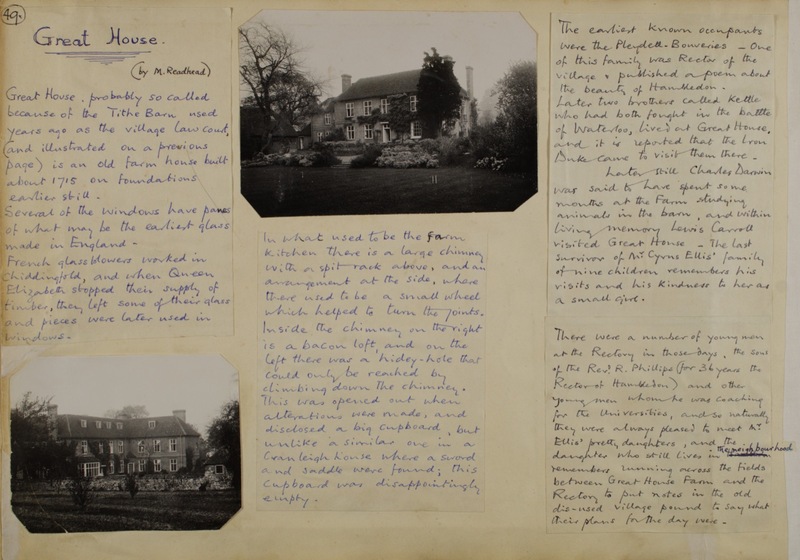 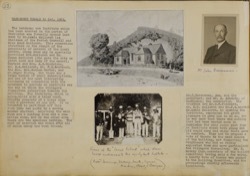 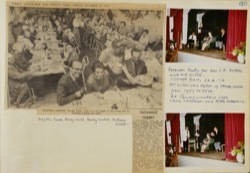 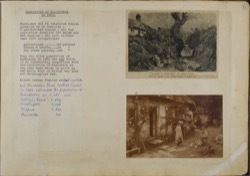 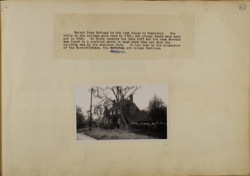 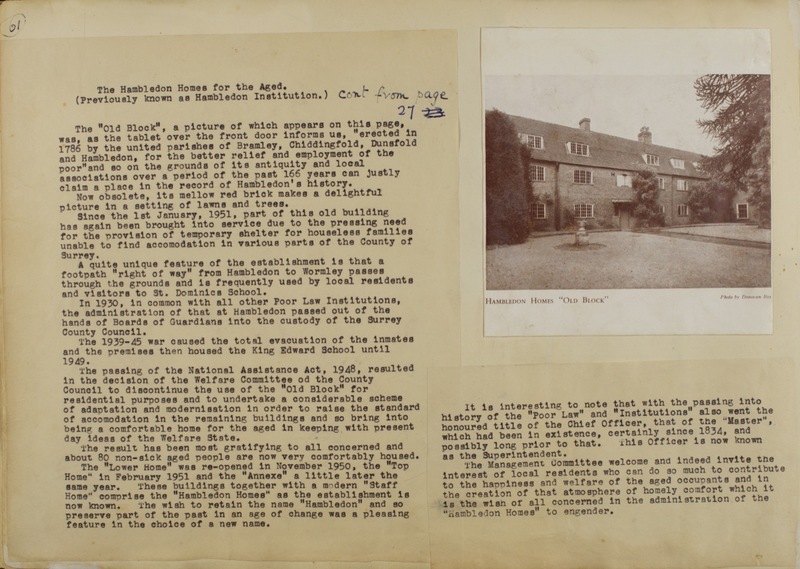 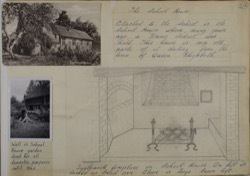 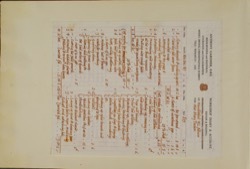 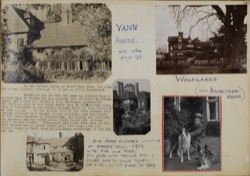 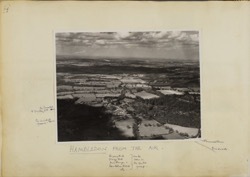 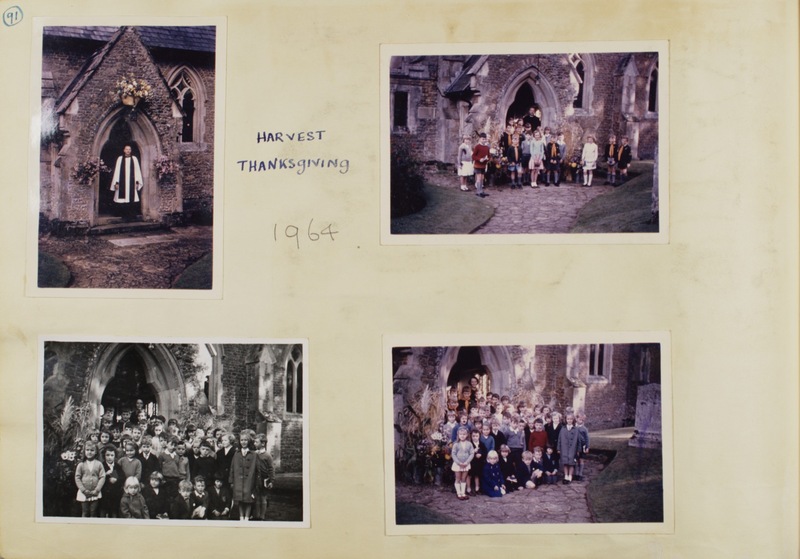 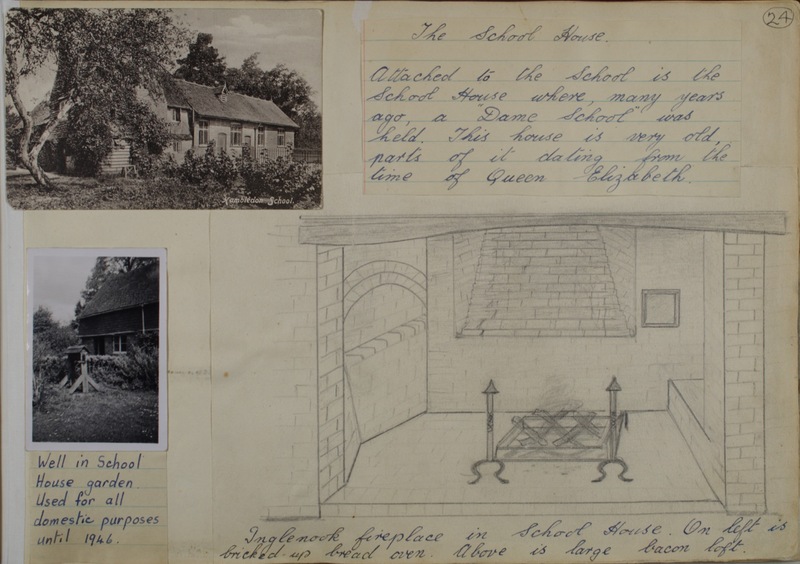 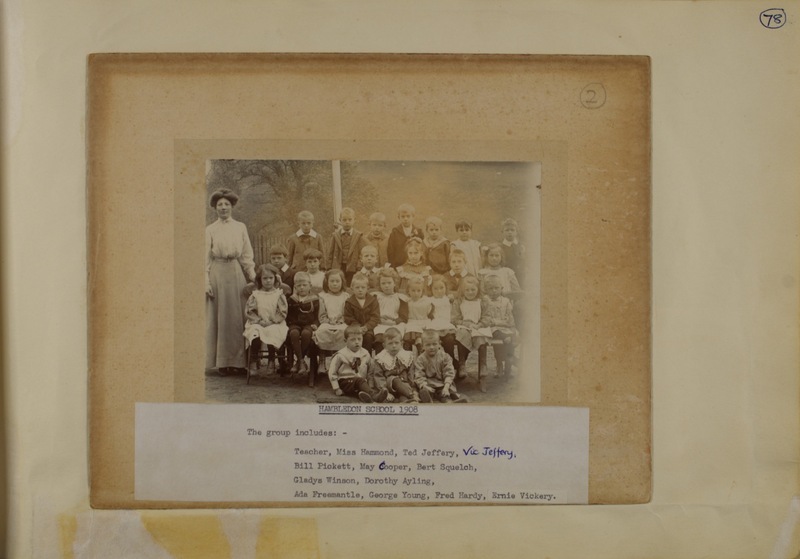 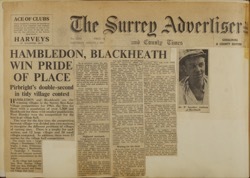 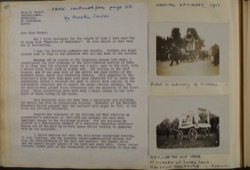 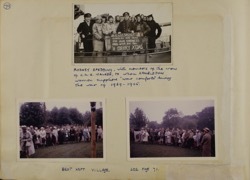 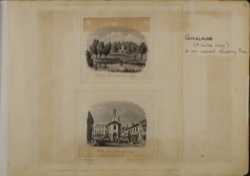 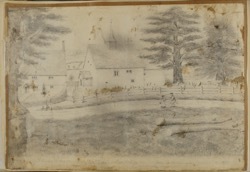 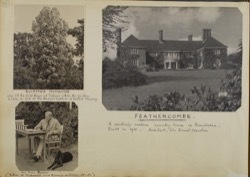 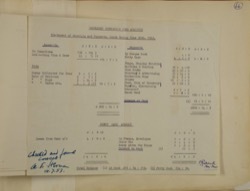 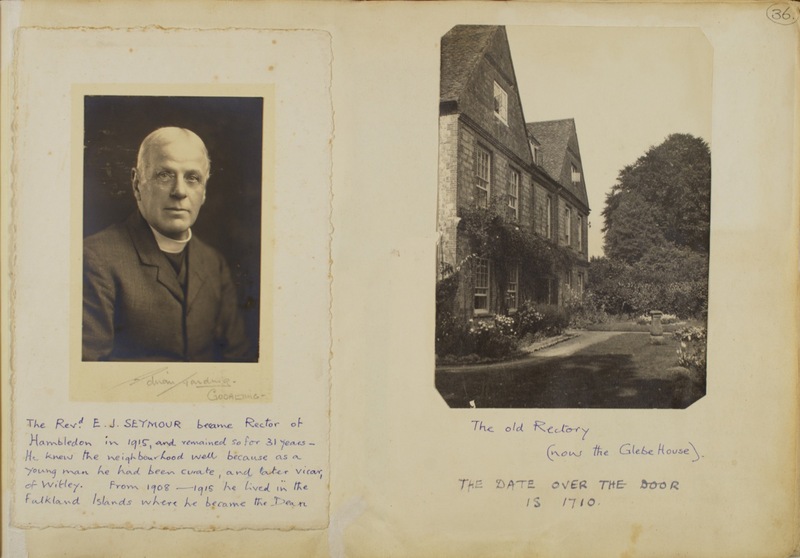 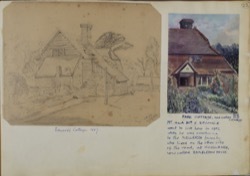 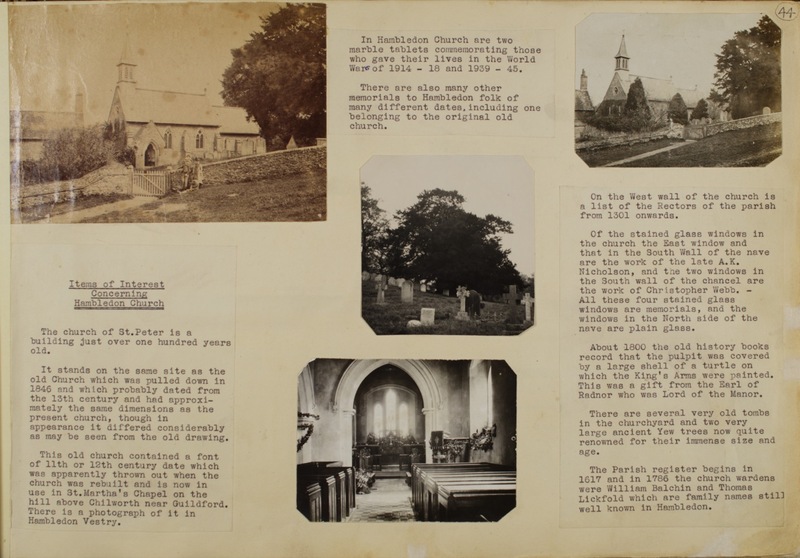 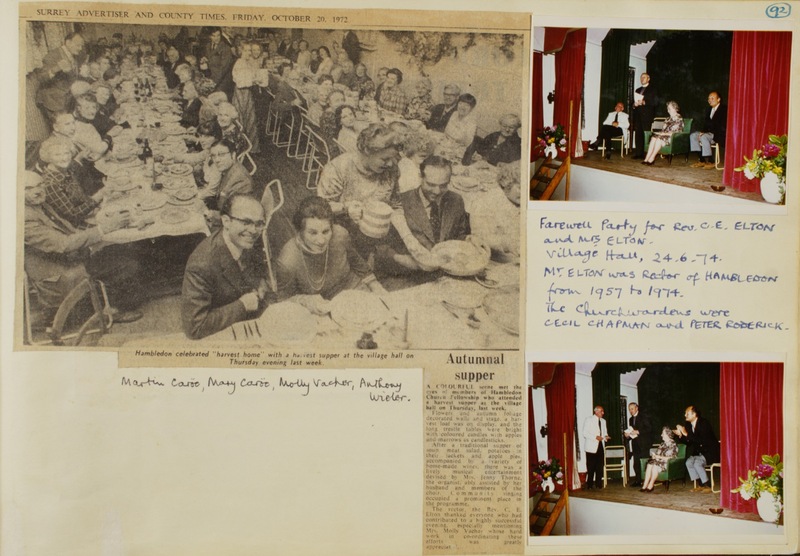 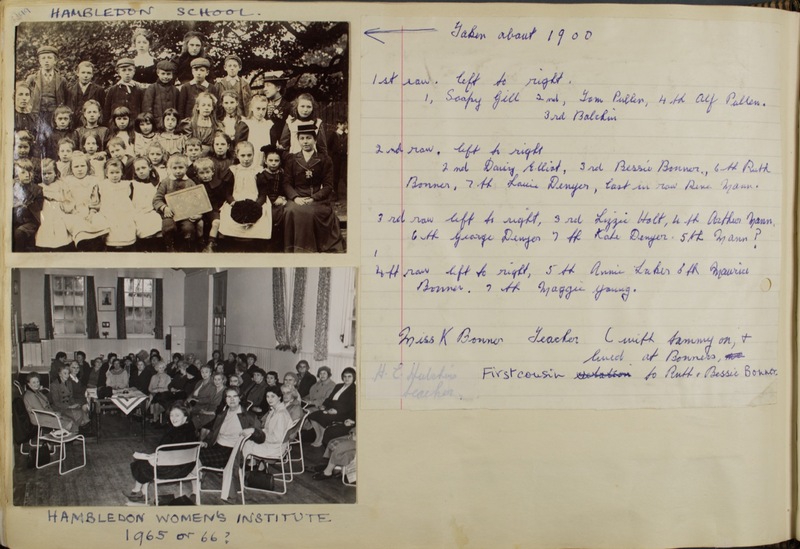 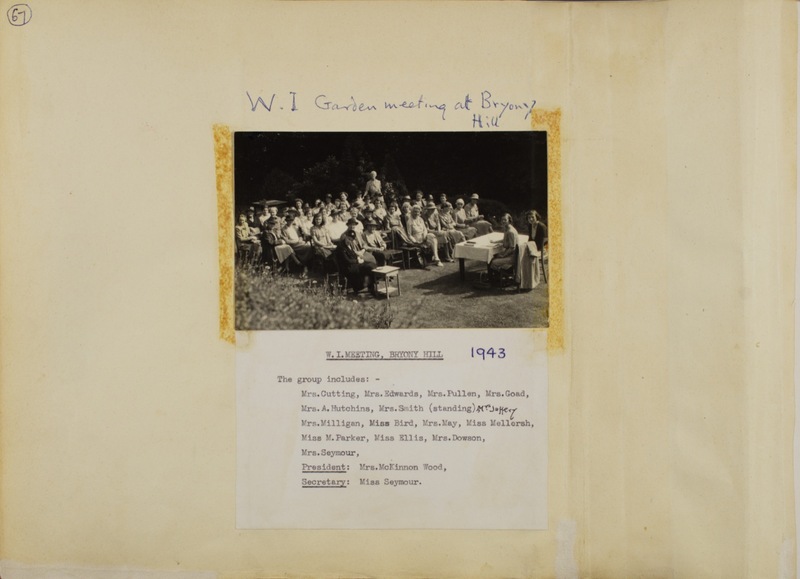 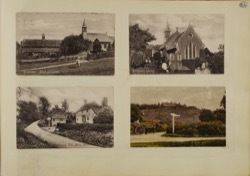 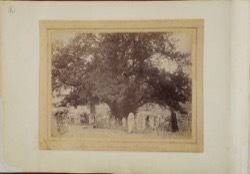 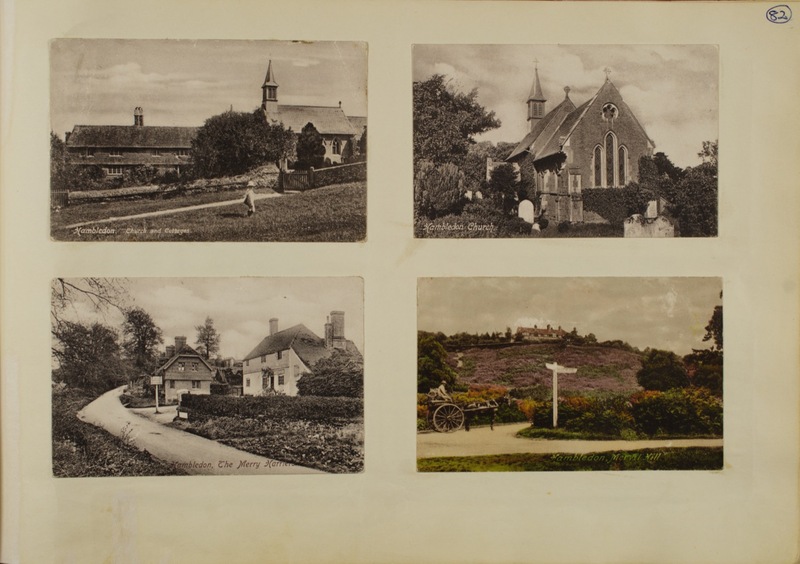 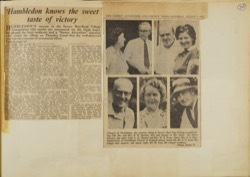 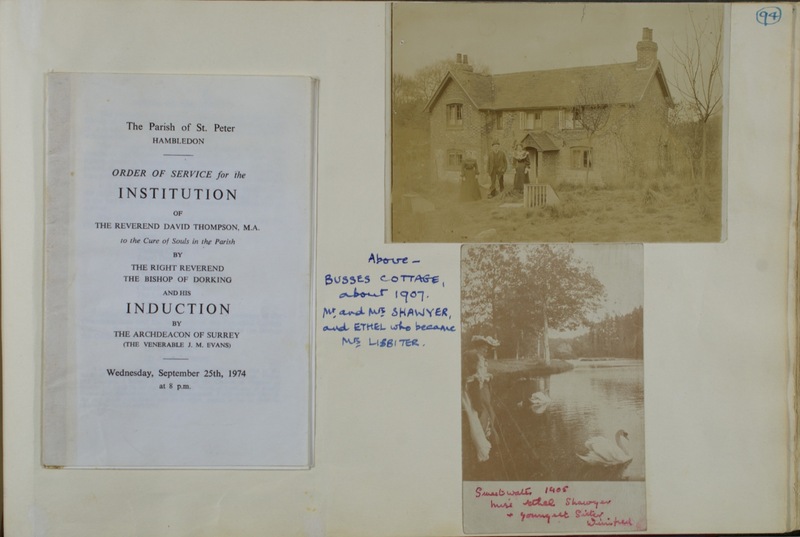 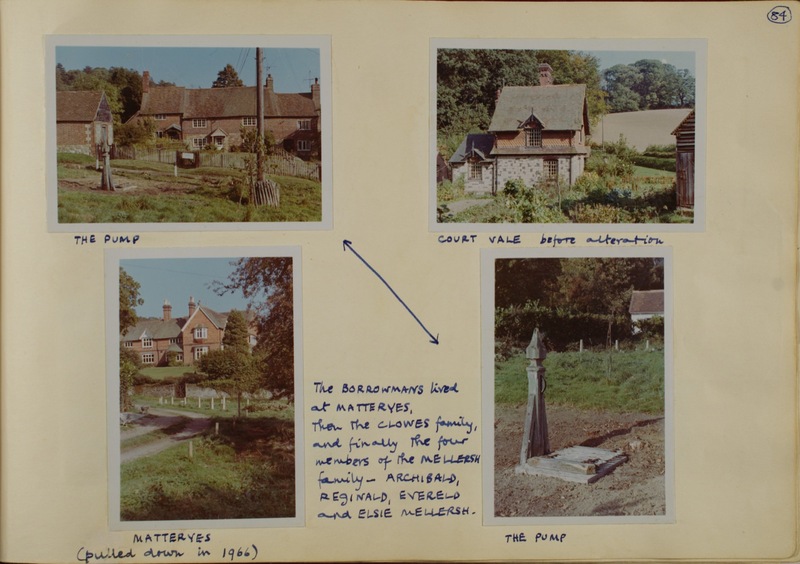 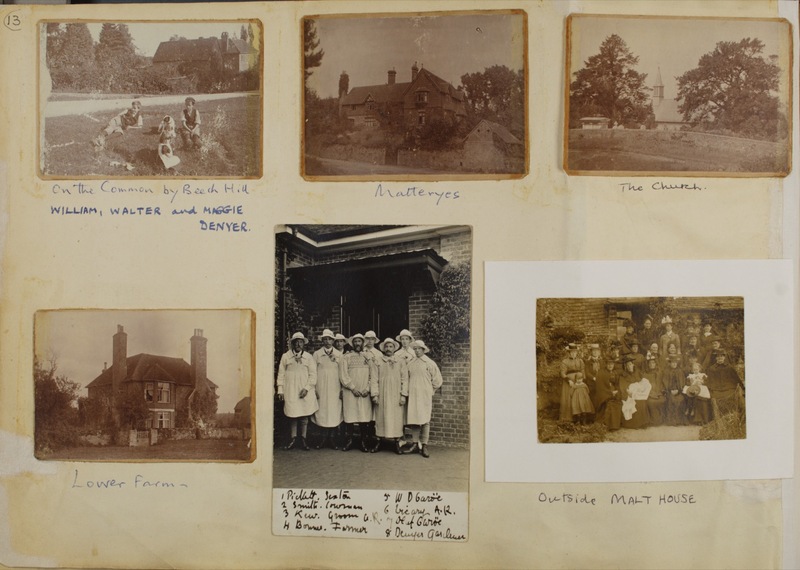 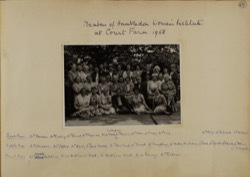 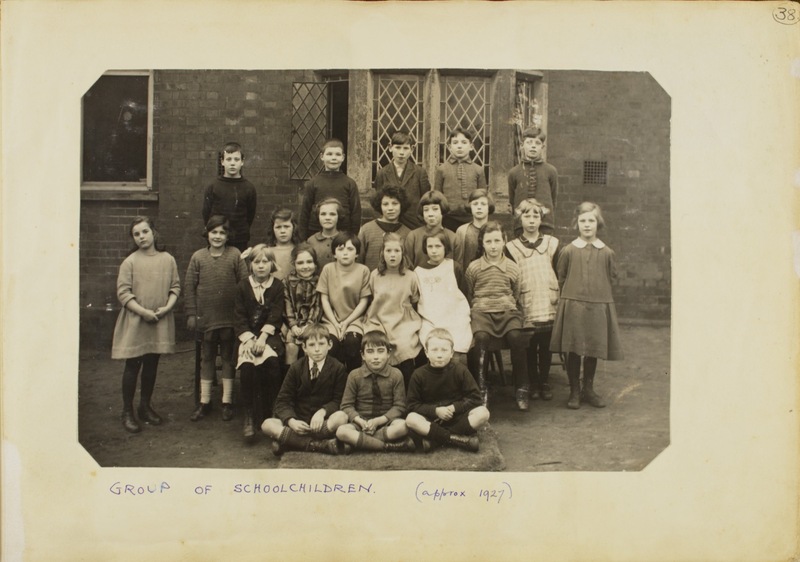 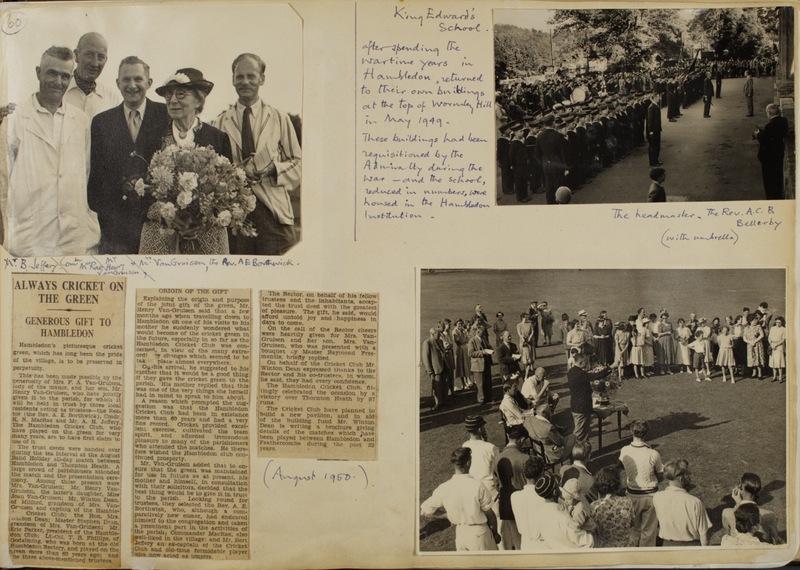 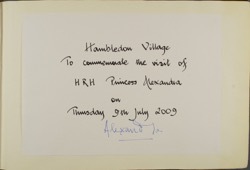 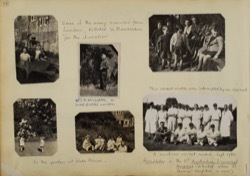 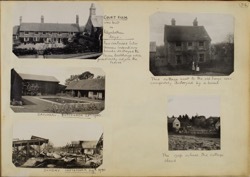 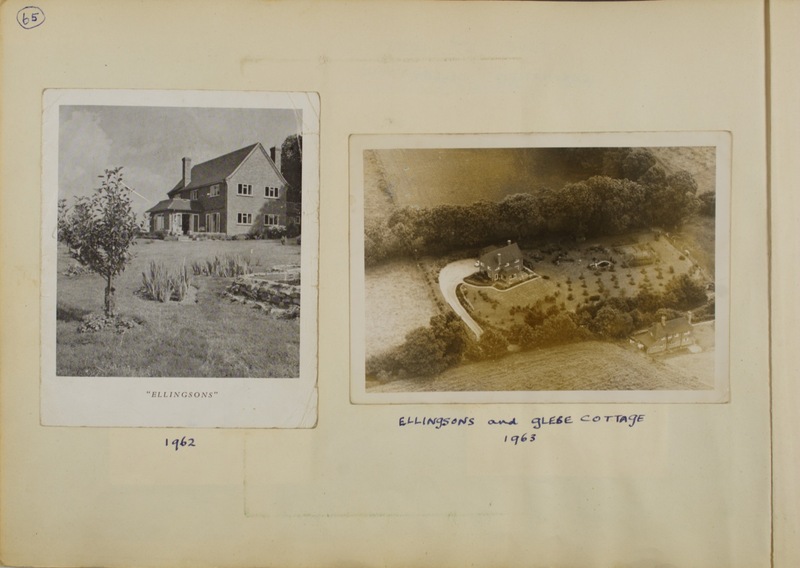 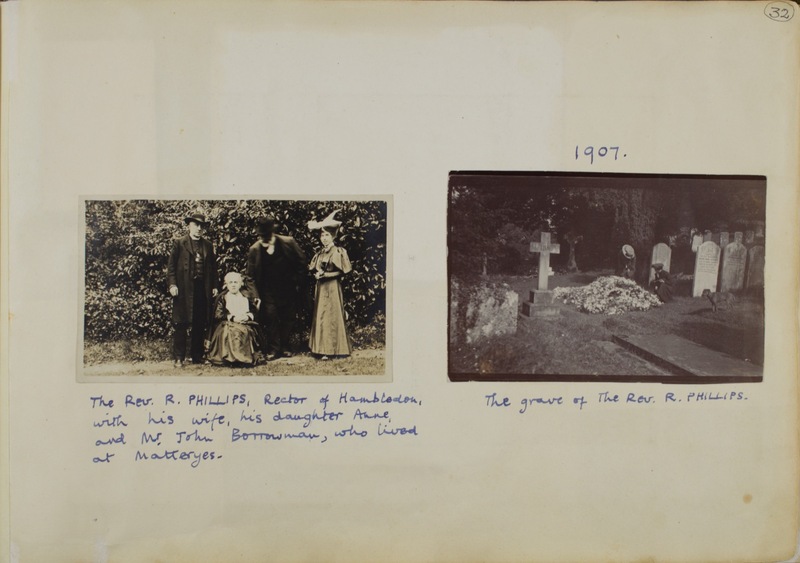 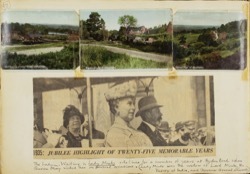 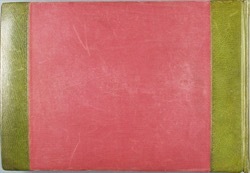 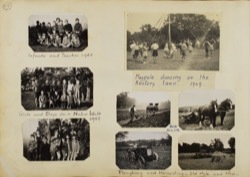 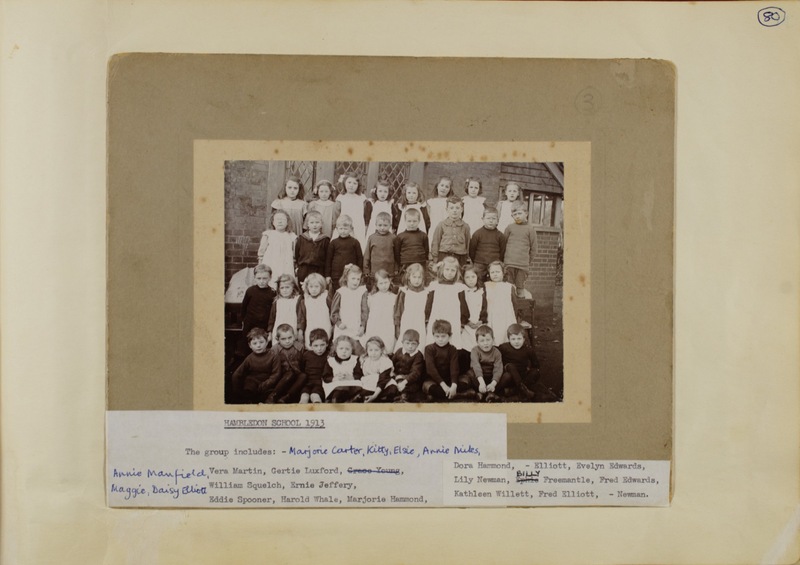 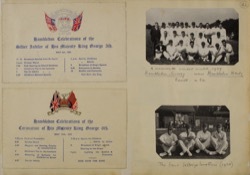 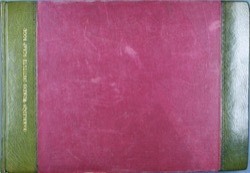 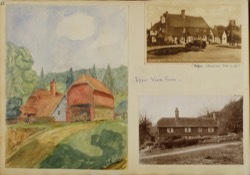 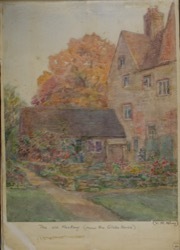 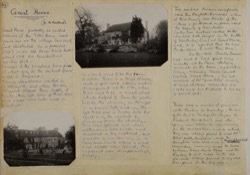 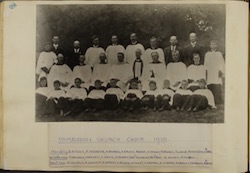 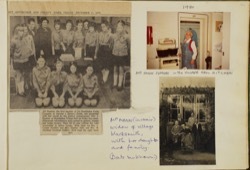 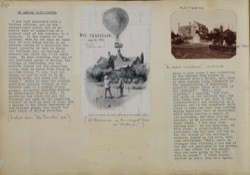 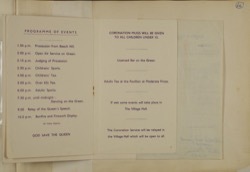 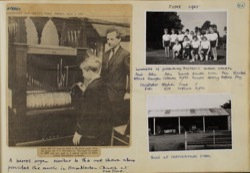 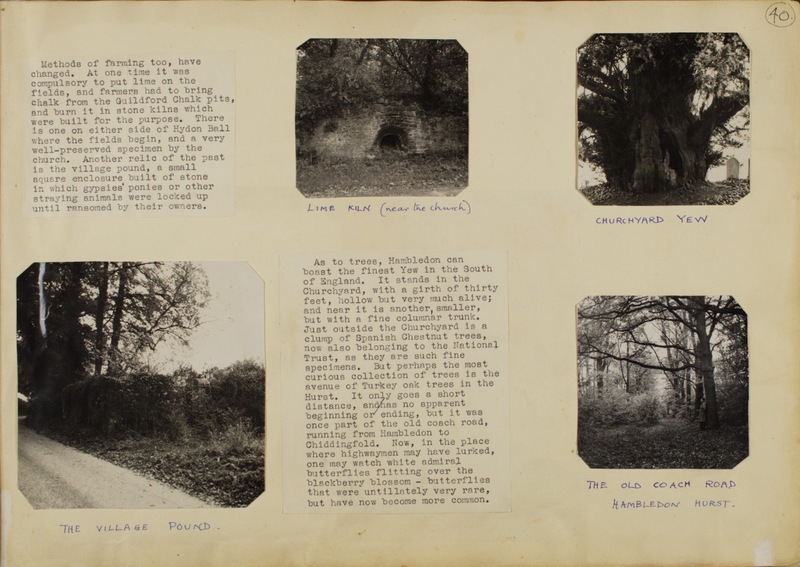 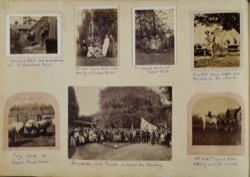 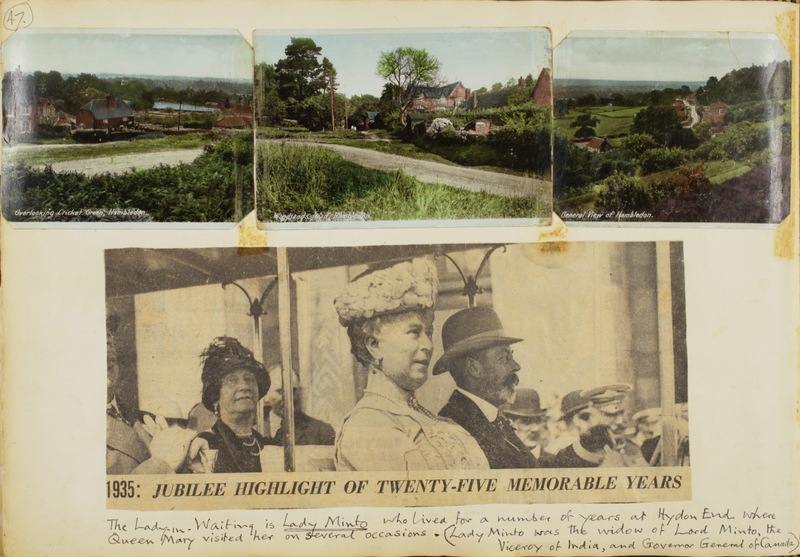 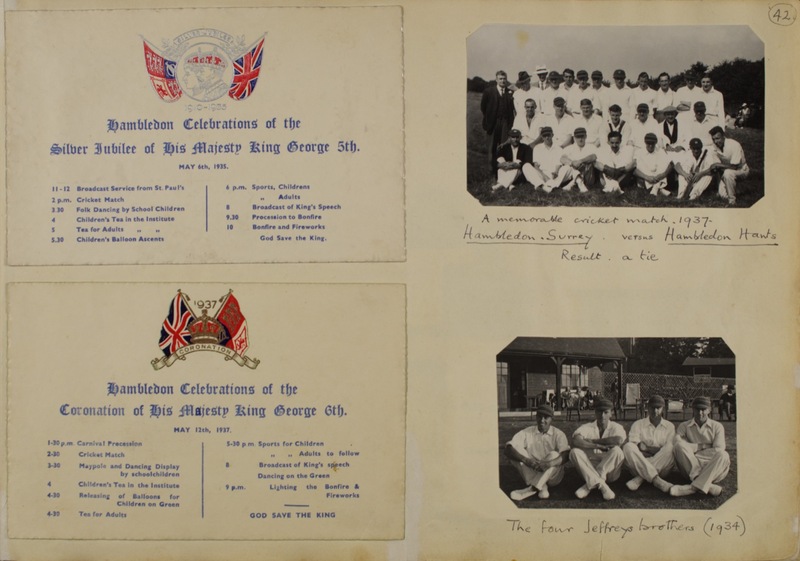 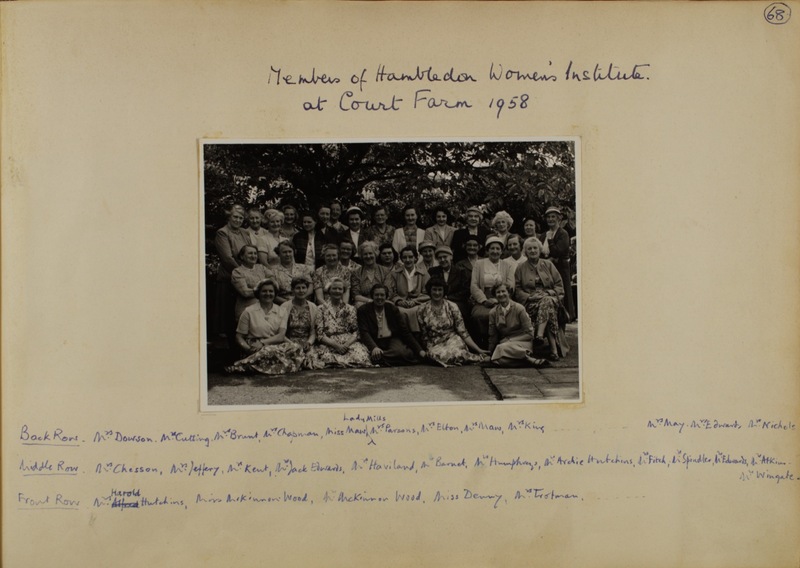 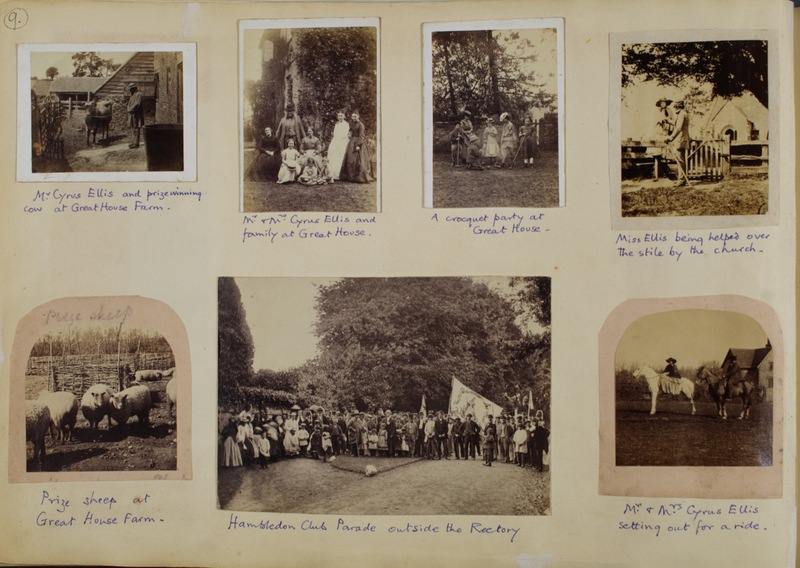 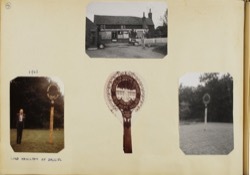 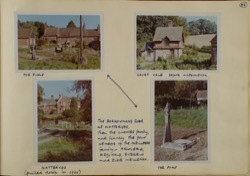 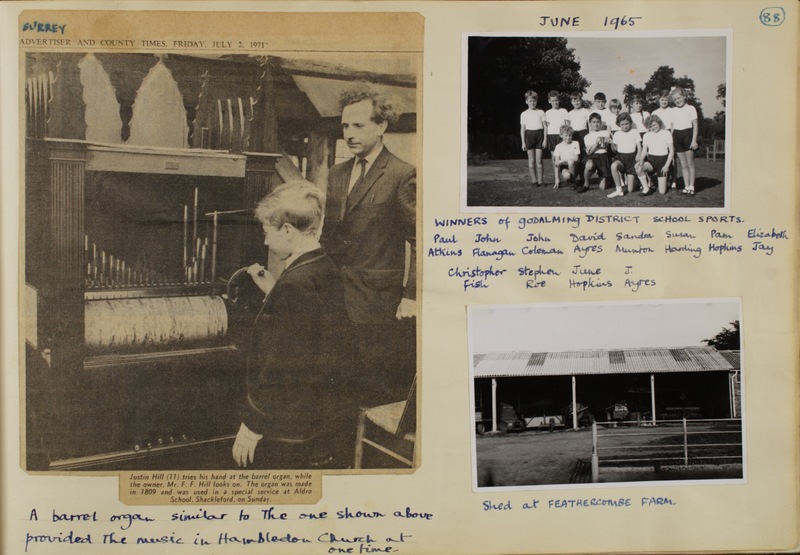 In January 2016 the original scrapbook was digitally photographed using the facilities kindly provided by the Surrey History Centre. 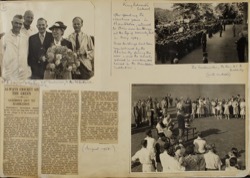 As a result the scrapbook can now be viewed in high resolution on digital devices. Clicking or tapping on a thumbnail below will open an image gallery, the image gallery provides controls to allow you to move through the pages of the scrapbook using your mouse or by swiping. The images used here have been compressed to allow for faster downloading. 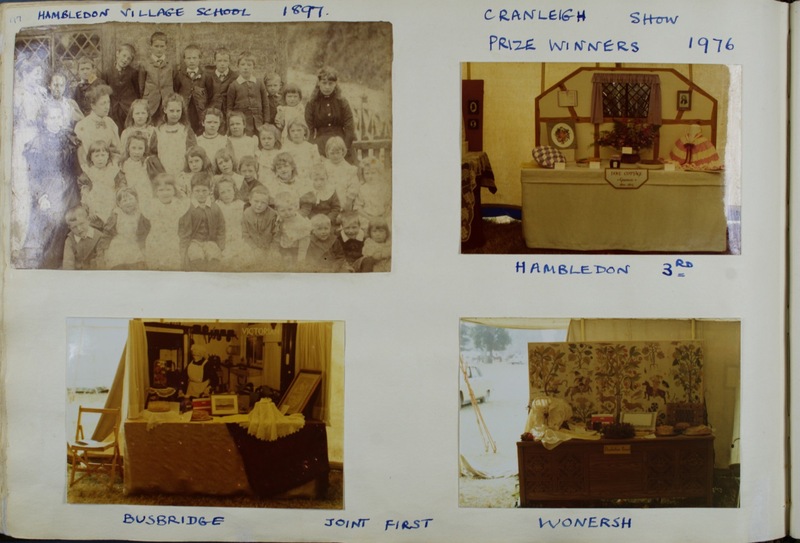 Requests for the high resolution (24.26 megapixel) images in RAW or JPEG format can be made to the Hambledon Village web team.